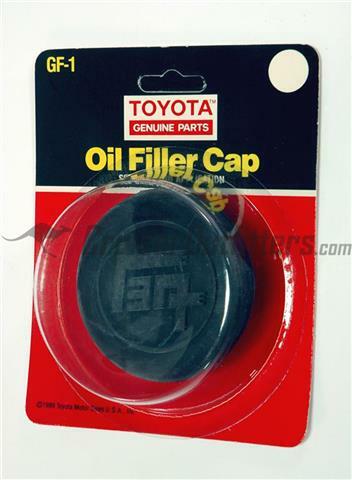 Oil Filler Cap - $13.50 ea. 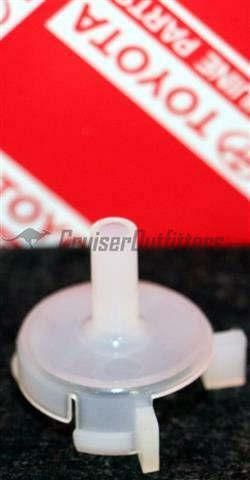 Oil Filler Cap - $8.50 ea. 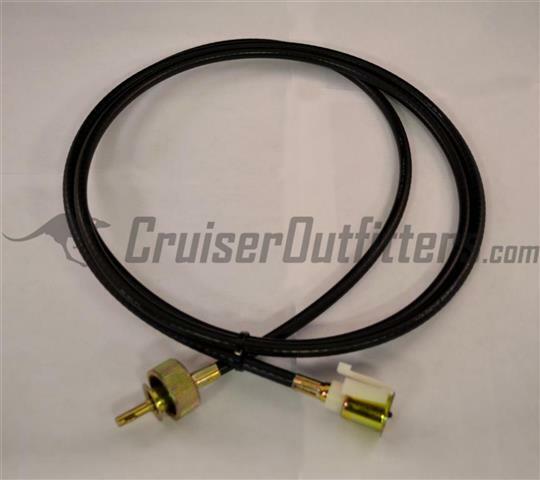 F/2F PCV Valve - $12.50 ea. 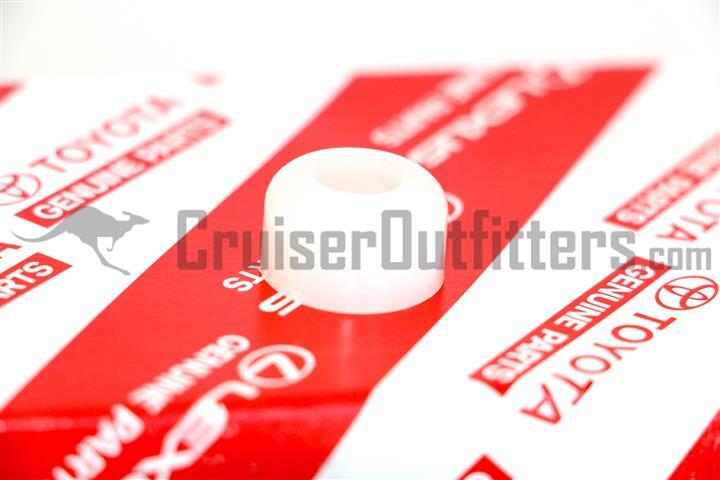 3F/1FZ PCV Valve - $6.75 ea. 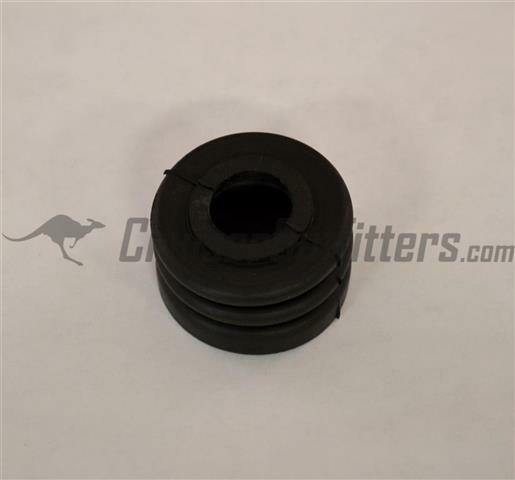 100/470 PCV Valve - $8.50 ea. 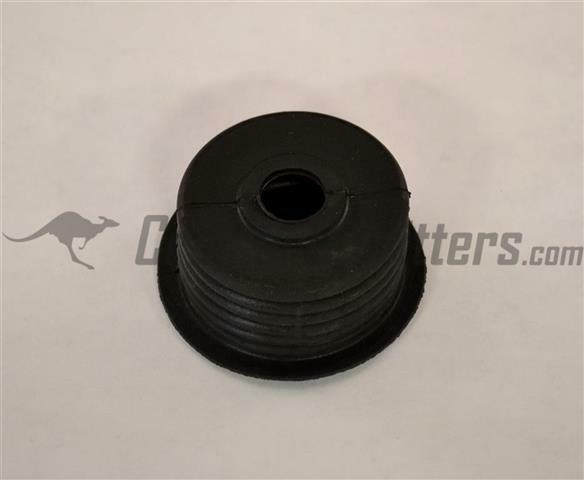 100/470 PCV Valve - $10.50 ea. 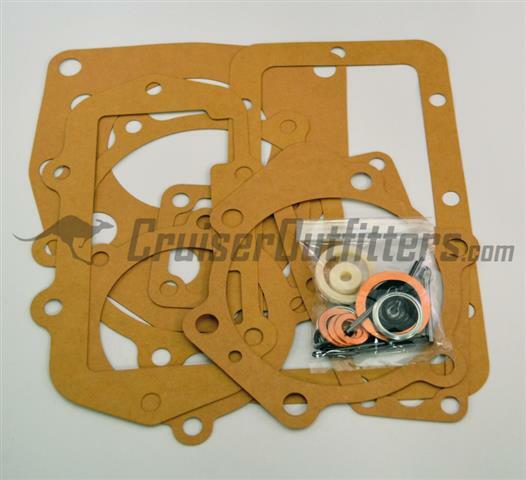 Carburetor Kit - $27.50 ea. 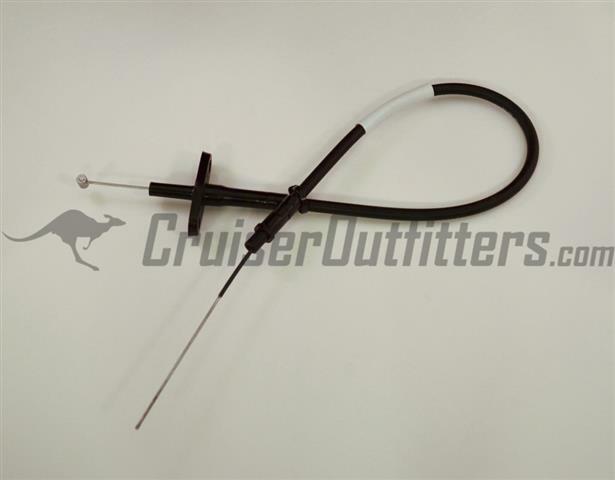 FAQ: Wondering what month/year your carb is? 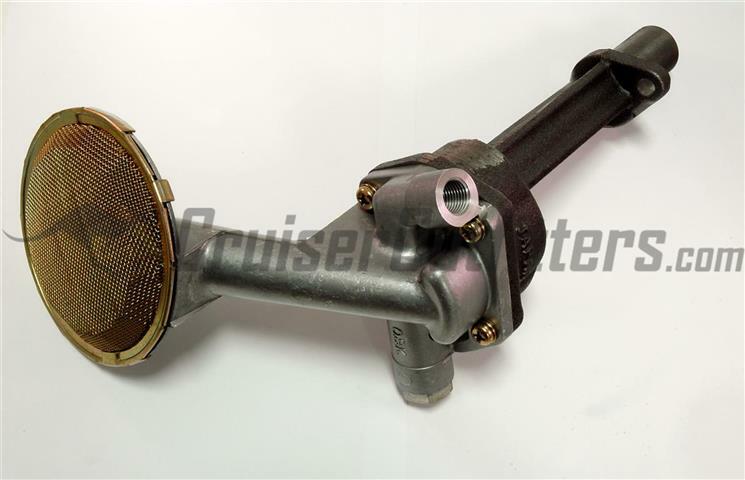 Please visit our carb identification page located HERE. 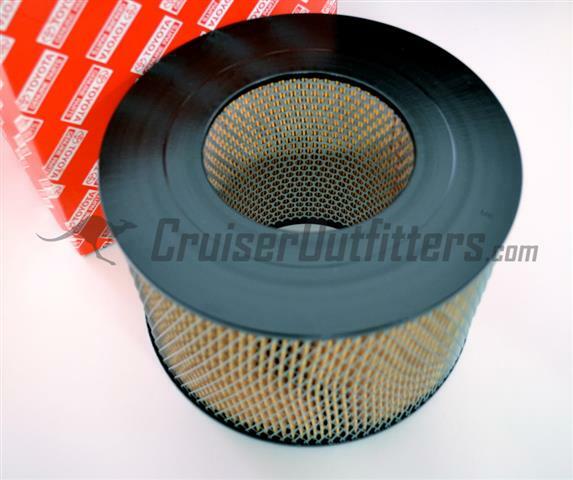 E-mail for more details about each carb kit. 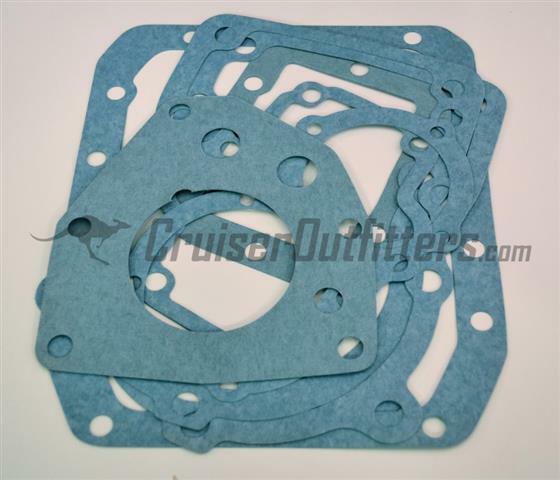 Carburetor Secondary Diaphragm - $32.50 ea. 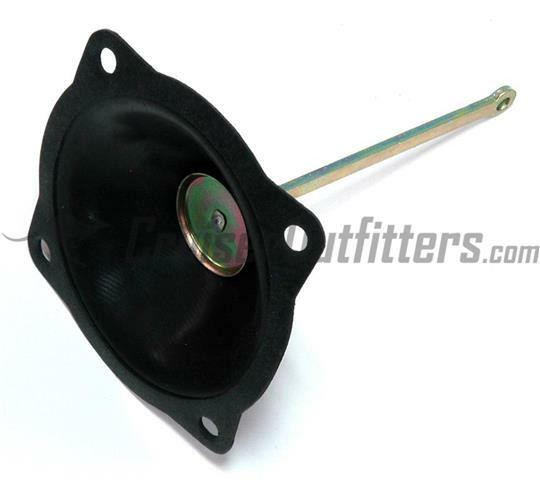 Carburetor Secondary Diaphragm - $57.50 ea. 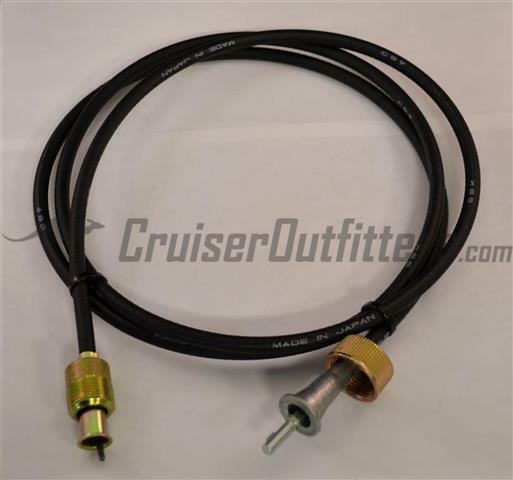 End Configuration: Barrel at pedal/bare wire and not threaded at carb side. 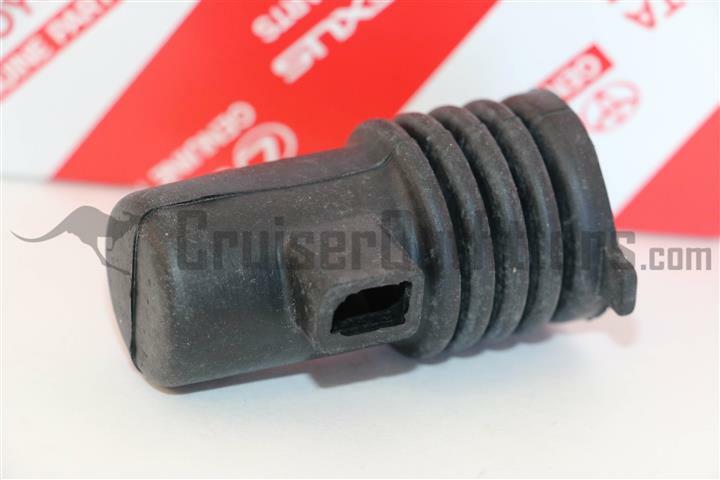 End Configuration: Barrel at pedal/Barrel and threaded at carb side. 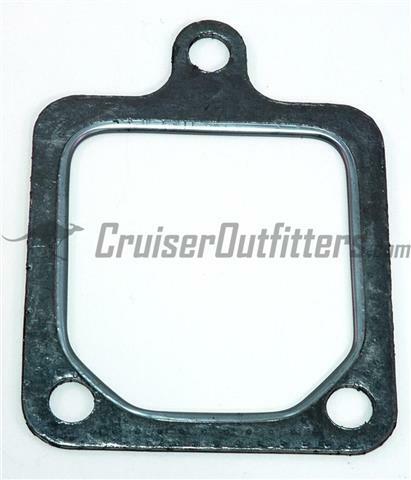 In/Ex Manifold Heat Riser Block-Off Plates - $22.50 ea. 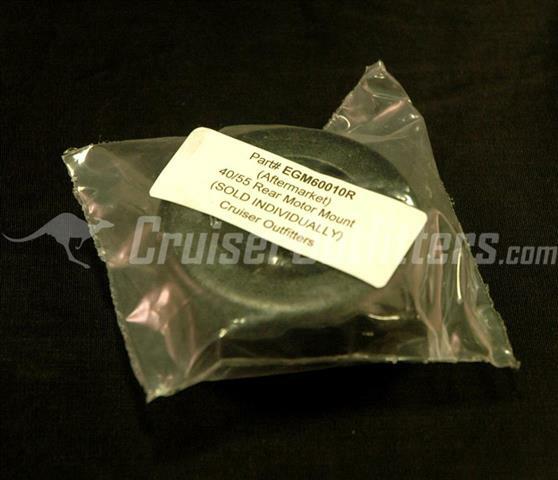 Suffering from a cracked intake manifold on your F or 2F engine? 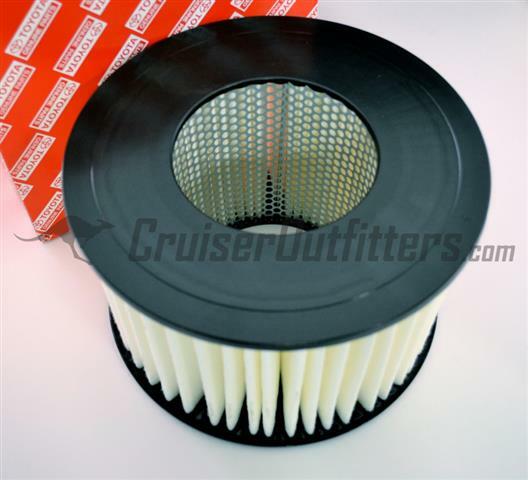 Many F/2F equipped Land Cruisers suffer from a cracked intake causing a major vacuum leak and poor running conditions. 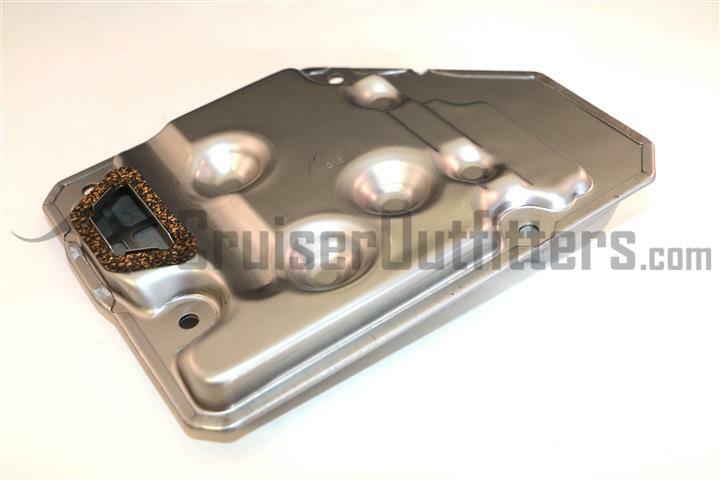 It's possible to have your intake professionally tig weld repaired but we have a much cheaper alternative. 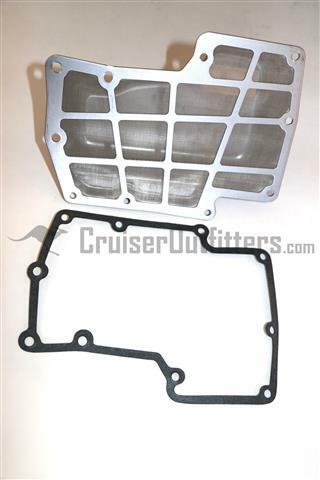 These steel Heat Riser Block-Off Plates fit between your exhaust manifold and intake manifold in place of the stock heat riser insulator preventing any vacuum leak or air movement between the two, restoring your running conditions. 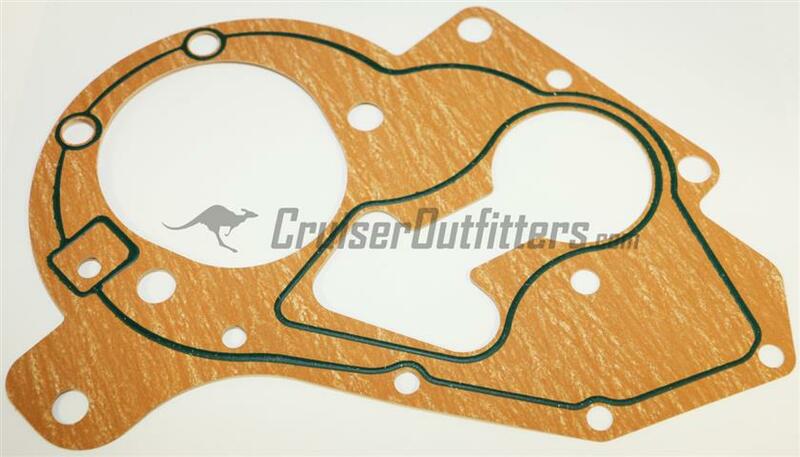 We recommend order (2) of the corresponding heat riser gasket (EGEX60031 or EGEX61011) as well as associated manifold, carb and exhaust flange gaskets. 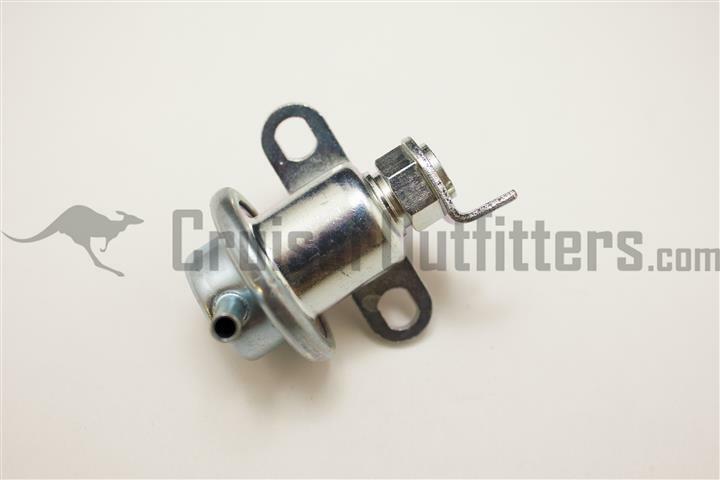 Fits around exterior of thermostat, inside the thermostat housing. 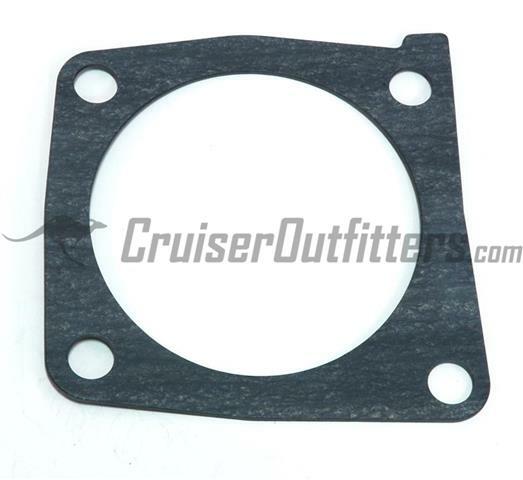 Not required for 2B/3B/13BT/2H/12HT Diesel Engines, Use housing half gasket only. 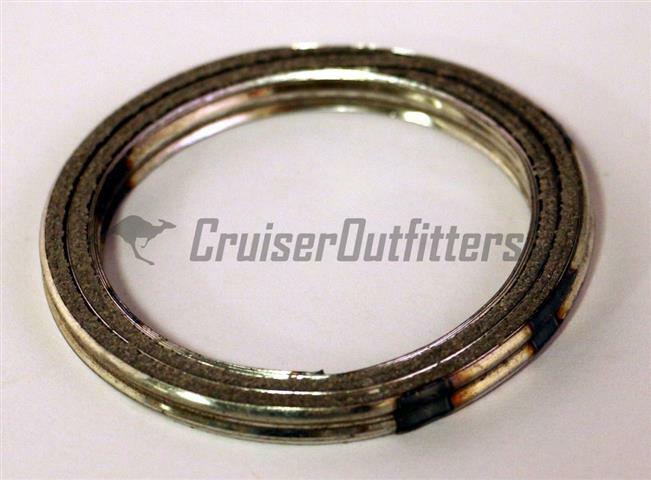 Not required for 3UR applications as thermostat includes O-Ring seals housing. 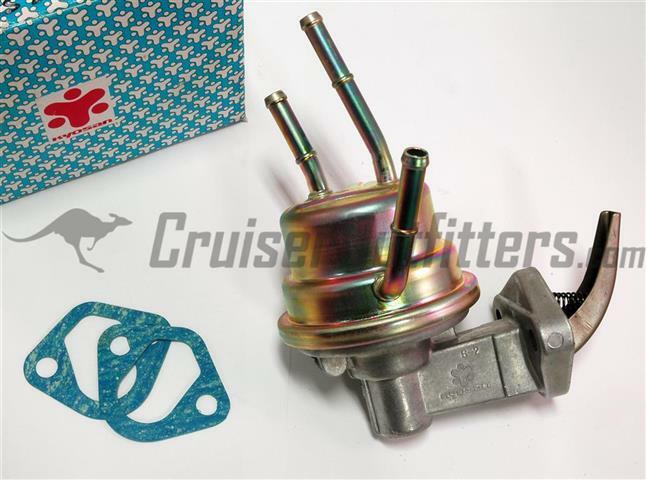 Fits between the two-half's of the engine thermostat housing. 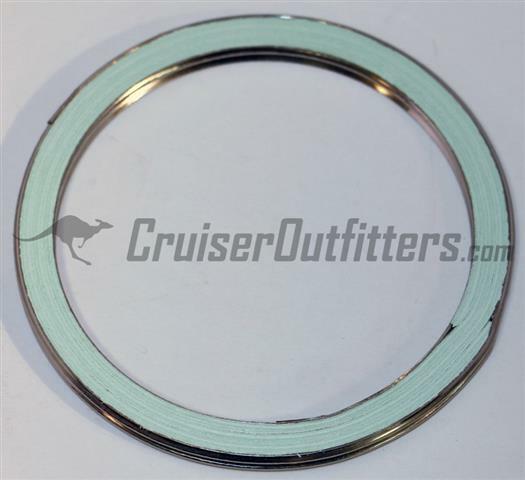 See "Thermostat Gasket" above for rubber gasket used around circumference of thermostat proper on gasoline applications. 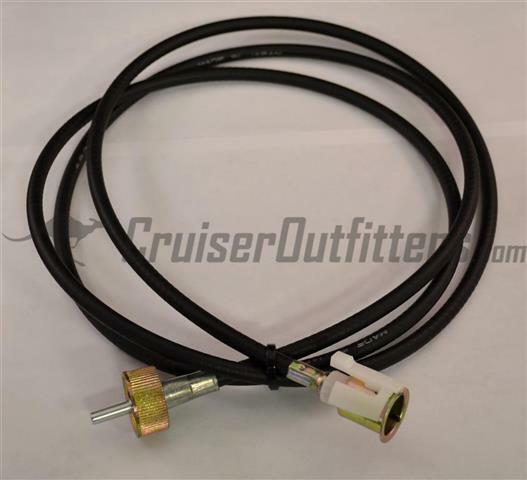 Not required for 1FZ/1HD/1HZ/2UZ/3UR Engines. 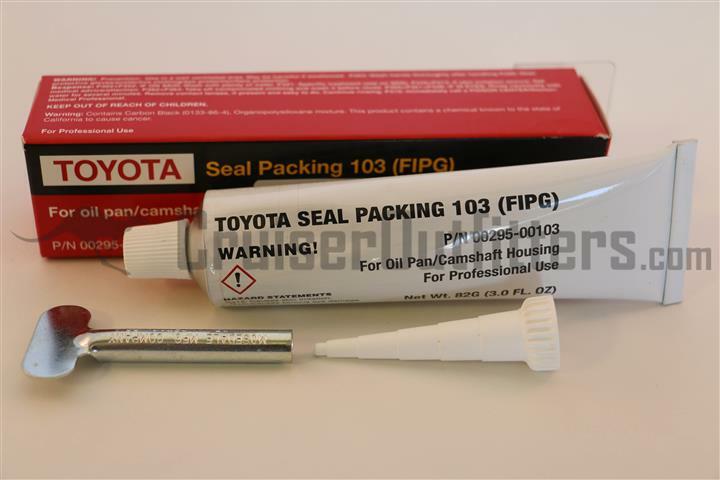 Use FIPG or FSM recommended sealant method. 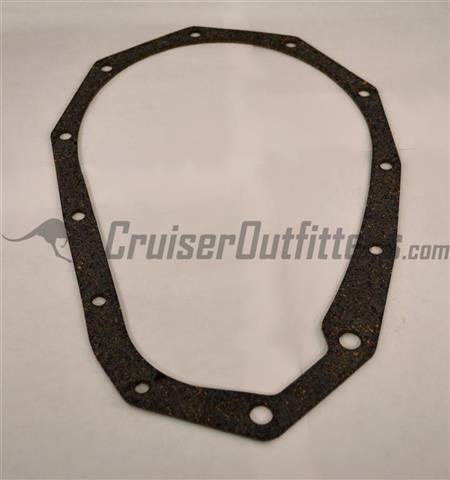 F/2F Oil Pan Gasket - One-piece hi-quality Japanese. 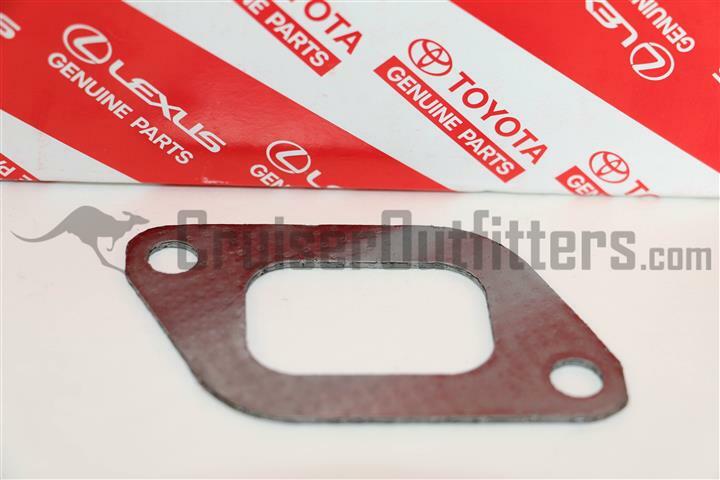 3F/3FE Oil Pan Gasket - One-piece hi-quality Japanese. 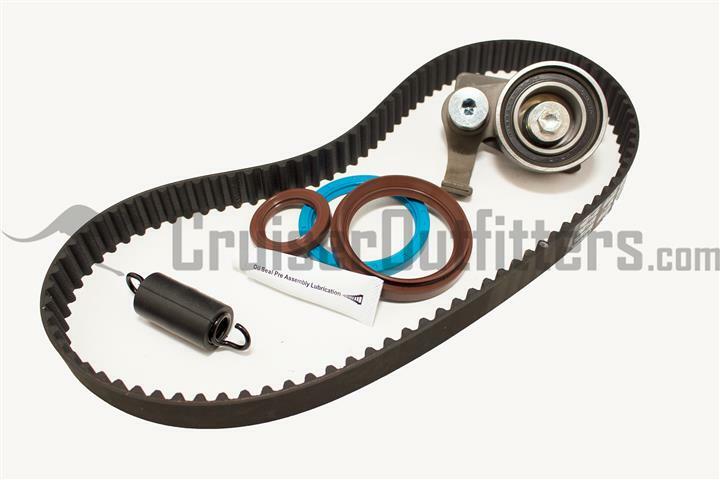 High Quality Timing Belt Kits. 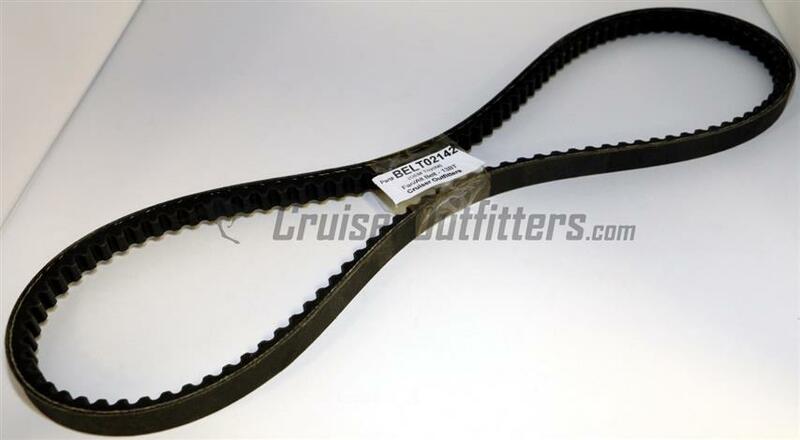 Includes applicable belts, gaskets, seals, water pump, Tensioner, etc unless otherwise noted. 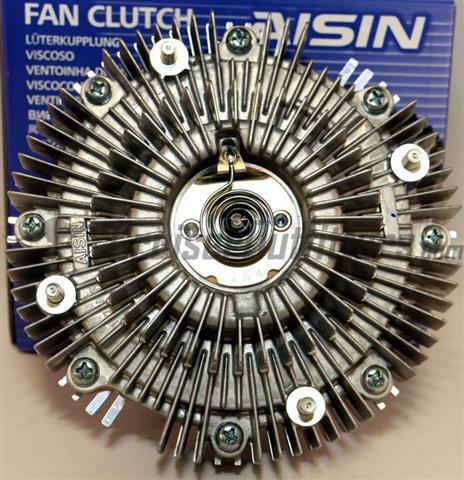 High Quality AISIN fan clutches, same manufacture as OEM Toyota. 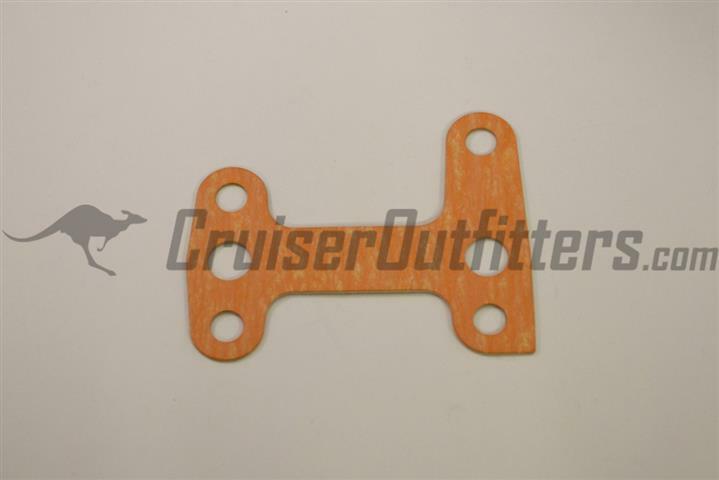 Fits Between Water Pump and Fan Blade. One required per vehicle. 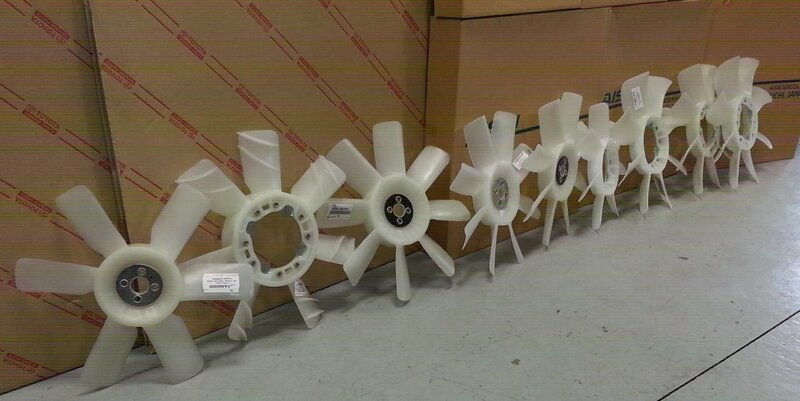 Fan blades are available in a small pattern (86x86mm) and a large pattern (96x96mm). 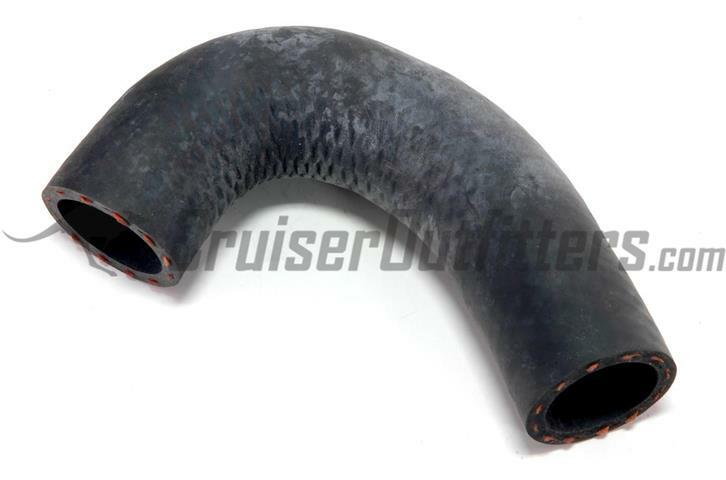 Call with VIN/Frame# to verify application and fitment. 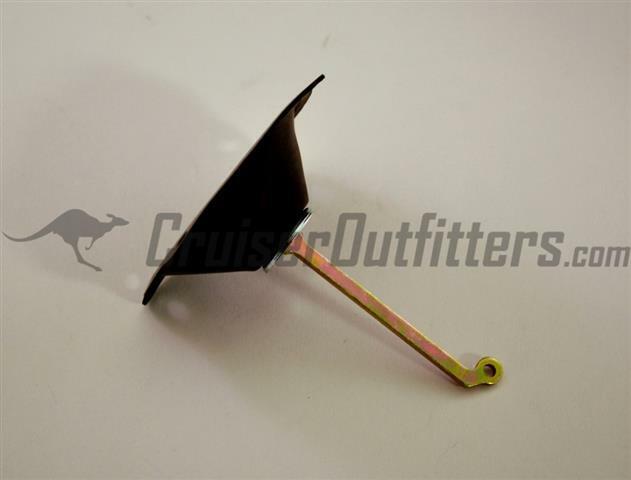 Fan blades are available for applications with and without a fan clutch (see above). 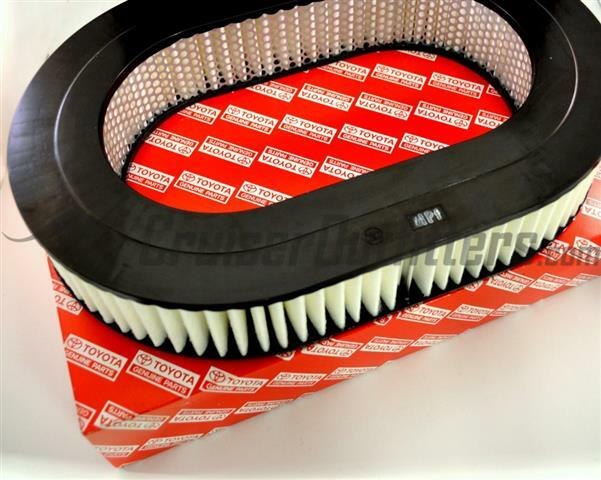 Fan blades for fan clutch equipped applications are available in a small pattern (86x86mm) and a large pattern (96x96mm). 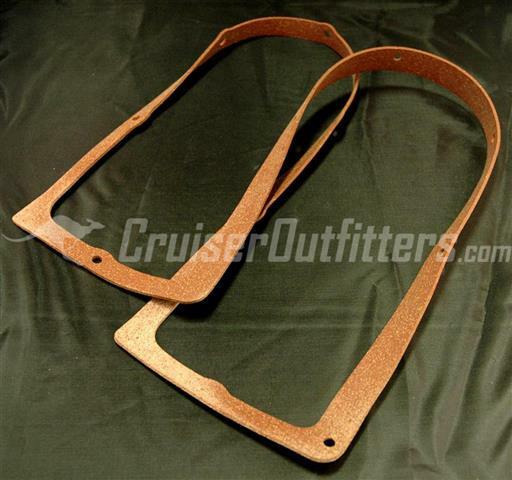 Call with VIN/Frame# to verify application and fitment. 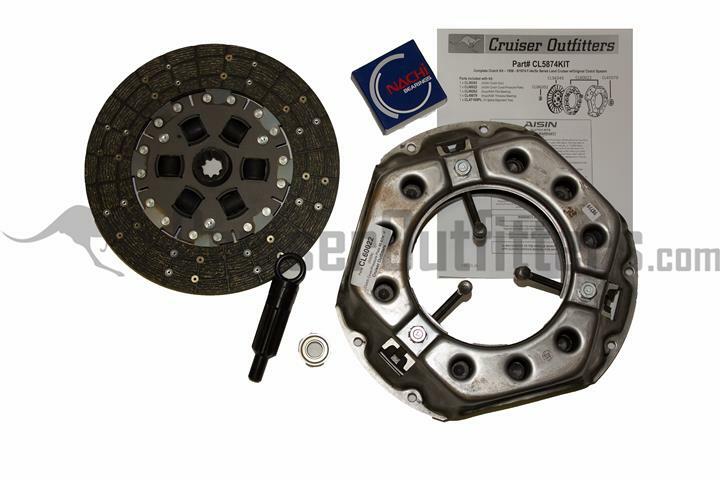 Gas Engine Clutch Replacement Kits - Now in Stock! 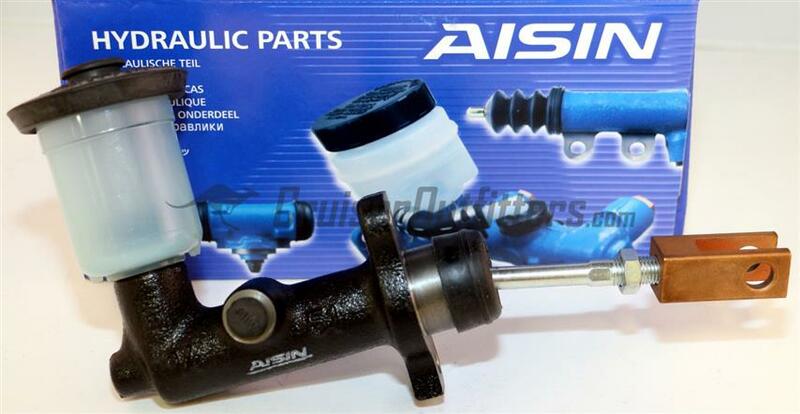 Heavy duty Japanese kits include AISIN pressure plate, AISIN clutch disc, Koyo or OEM Toyota throw out bearing, Koyo or OEM Toyota pilot bearing and clutch alignment tool. No core charge. 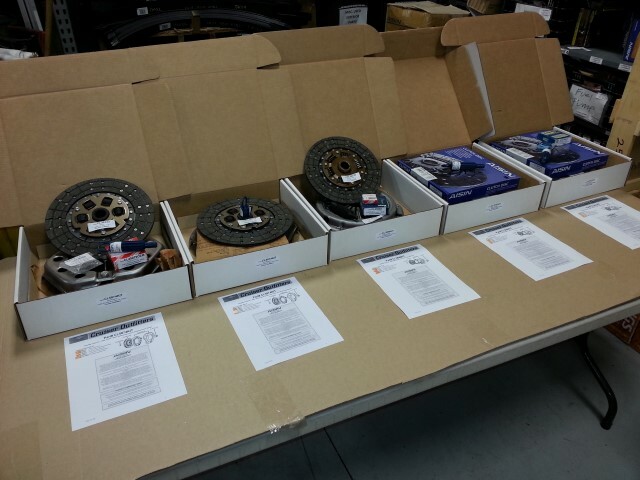 Select kit to match your existing flywheel, i.e. 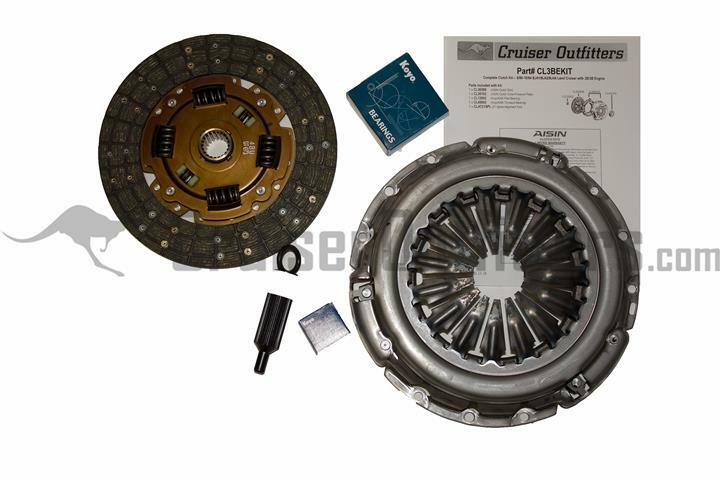 CL5874KIT with "3-Finger" pressure plate is used with "F-Style" recessed/stepped heavy weight flywheel and CL7487KIT with "diaphragm style" pressure plate is used with standard "2F-Style" flywheel. 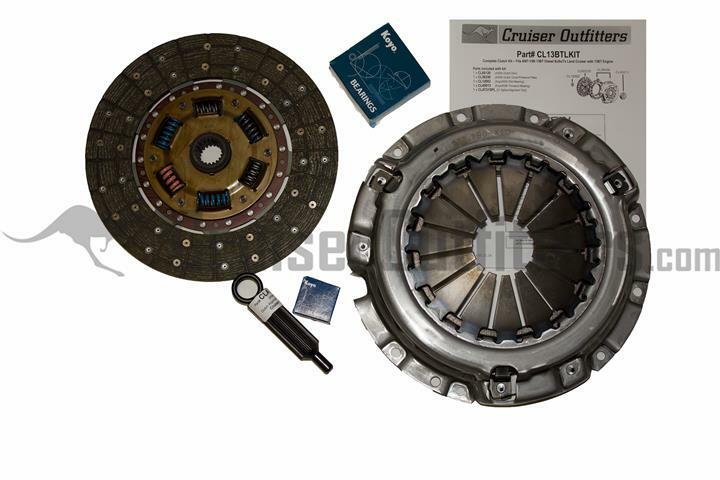 Diesel Engine Clutch Replacement Kits - Now in Stock! 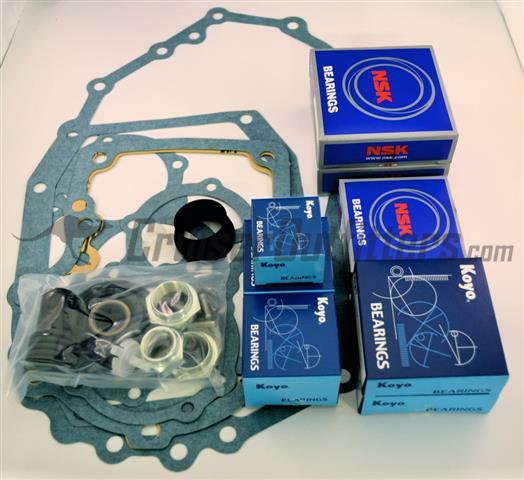 Heavy duty Japanese kits include AISIN pressure plate, AISIN clutch disc, Koyo or OEM Toyota throw out bearing, Koyo or OEM Toyota pilot bearing and clutch alignment tool. No core charge. 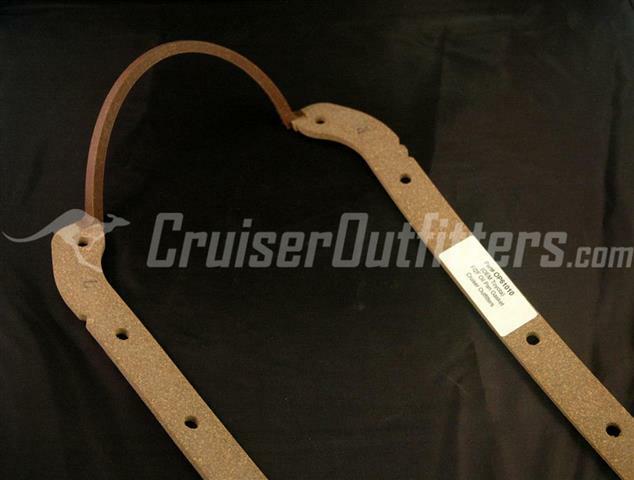 Please have your VIN/Frame# available for confirmed fitment of non-US model applications. Don't see the application you are after? 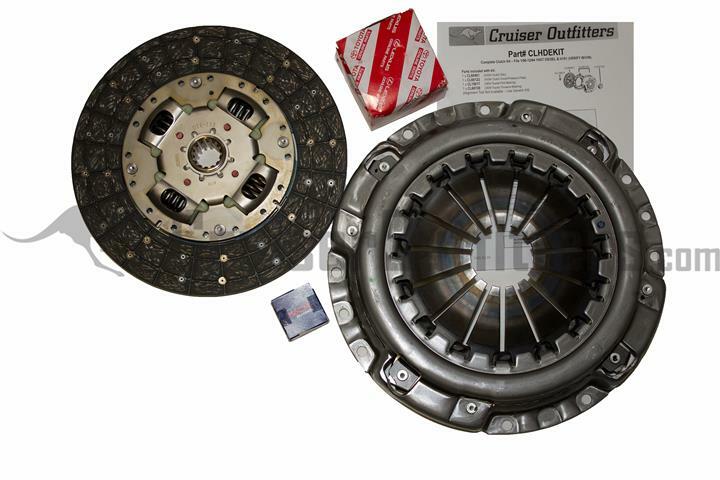 We have nearly all applications in stock including the B, H, & 1HZ Diesel Clutch Kits in stock, PLEASE CALL for info & pricing. 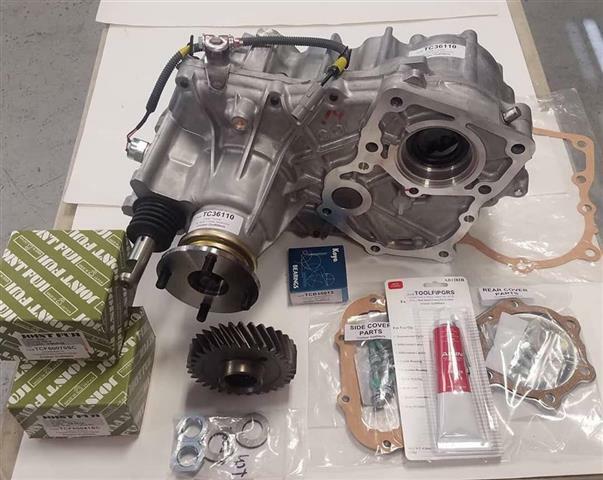 OE H55F 5-Speed Transmission Assembly. 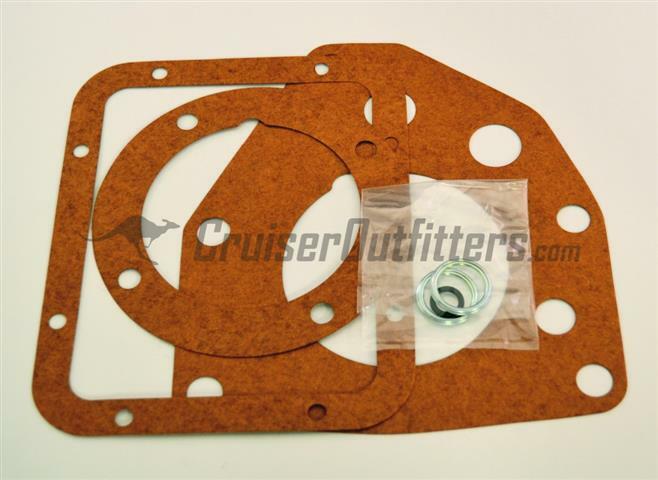 Fits 1958-1990 Land Cruiser with modifications, direct fit in late 60 Series models and non-US models. 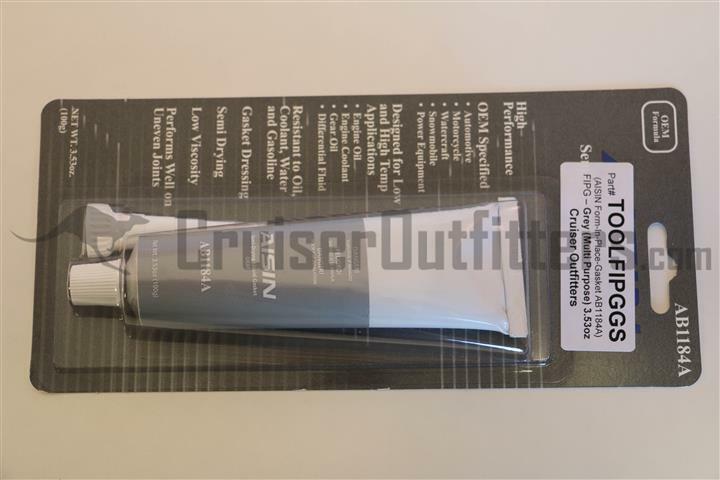 Does not include shift lever or know, please order below. Please call for information. 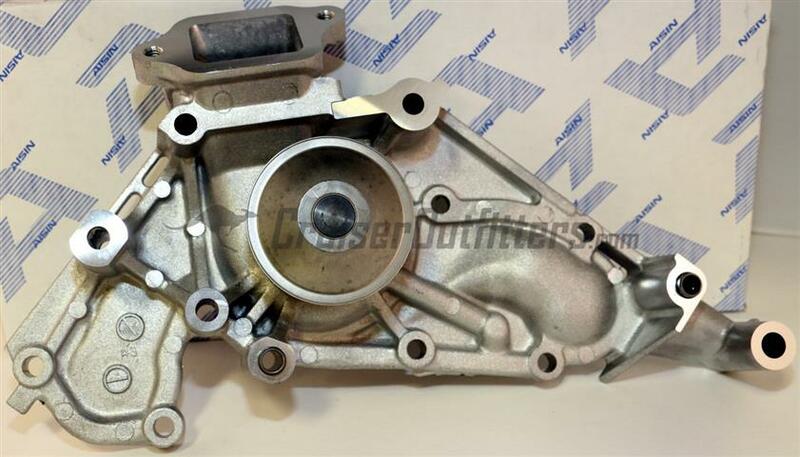 OE H55F 5-Speed Transmission Assembly. 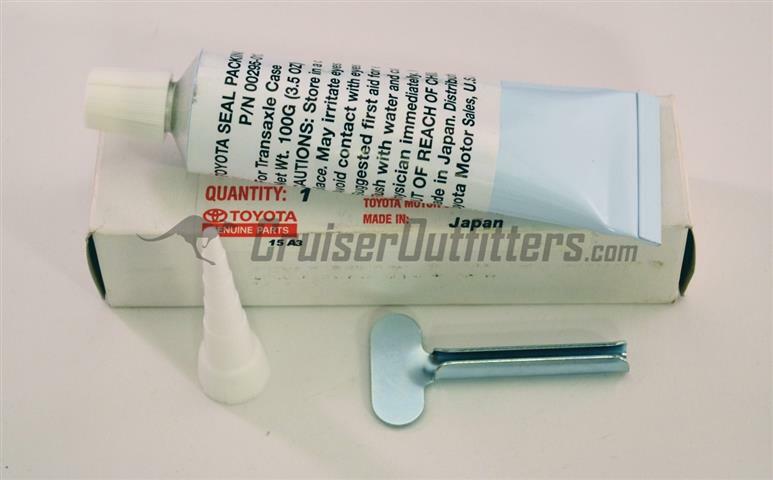 Fits 1/1990 HZJ7x Land Cruiser and non-US models. 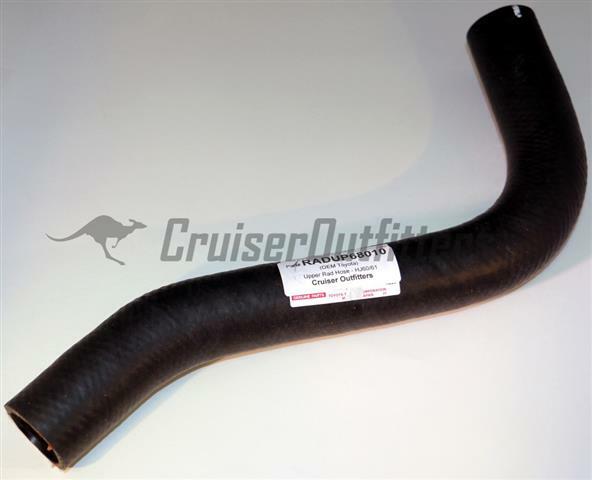 Does not include shift lever or know, please order below. Please call for information. 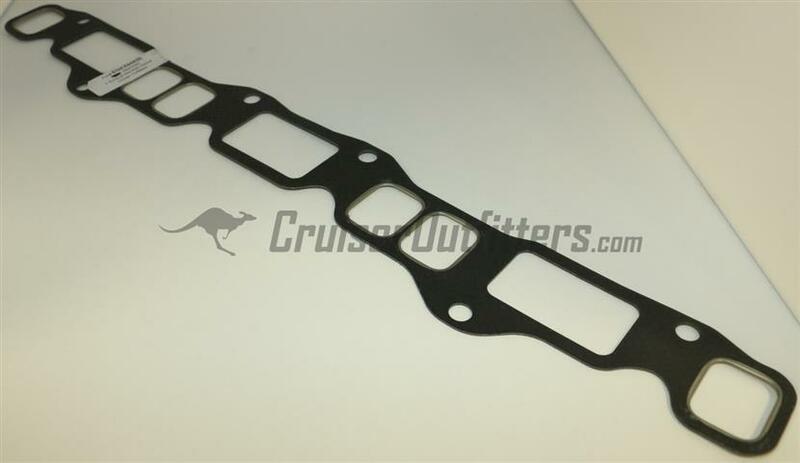 OE Split T-Case Assembly. 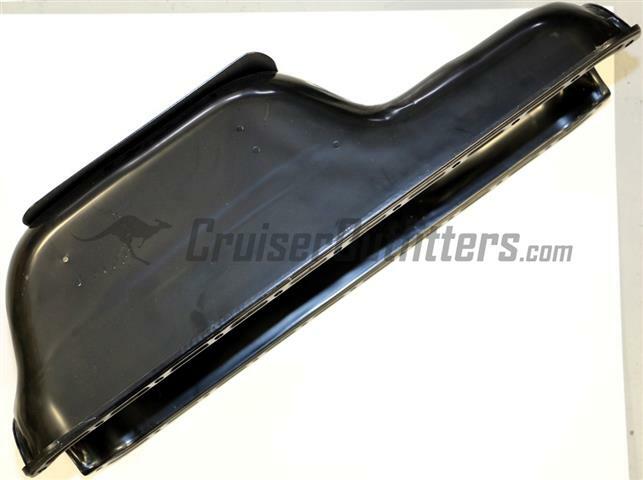 Fits 8/80 & Newer 4x/6x/7x Land Cruiser. 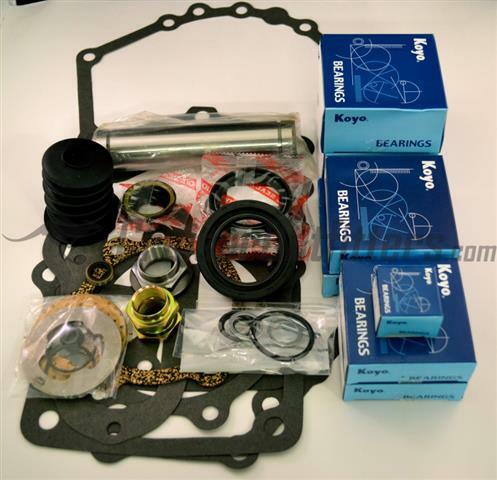 Does not include shift linkage, input gear, spacer or bearing. 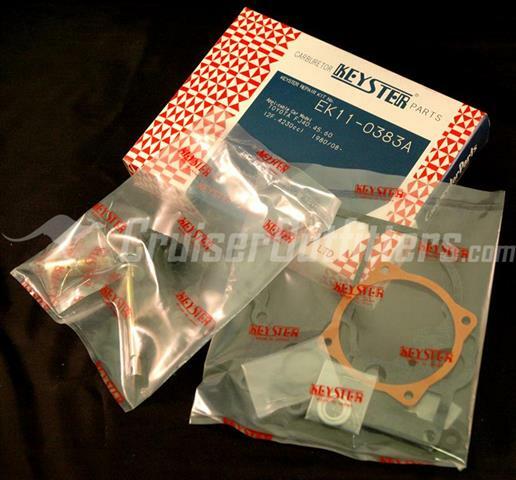 Please call for additional information and components. 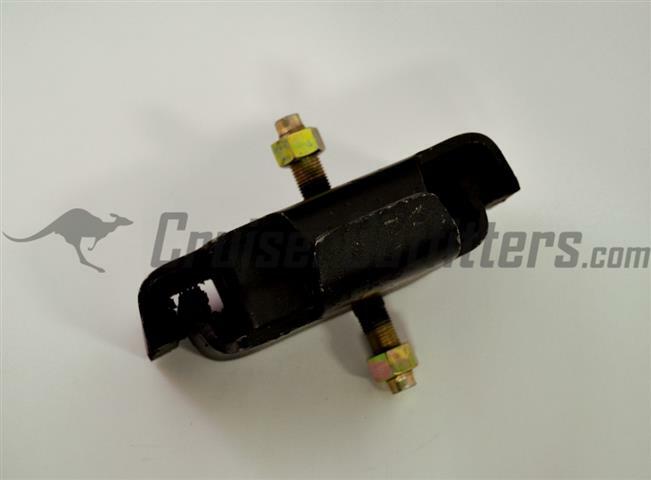 Factory Toyota H55F 5-Speed Transmission Shift Lever Assembly. 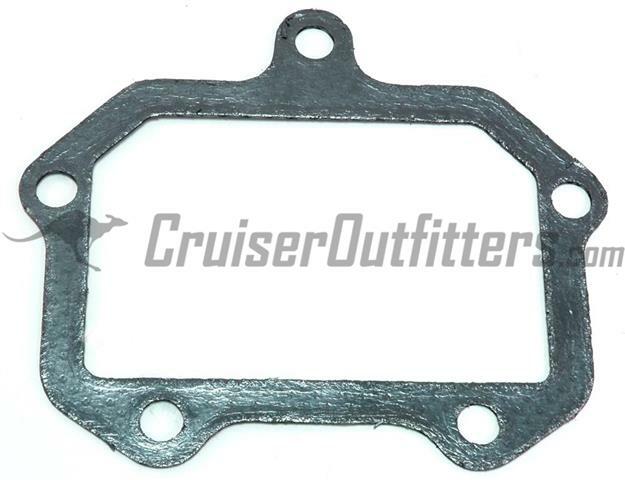 Fits 1958-1990 Land Cruiser with H55F transmission. 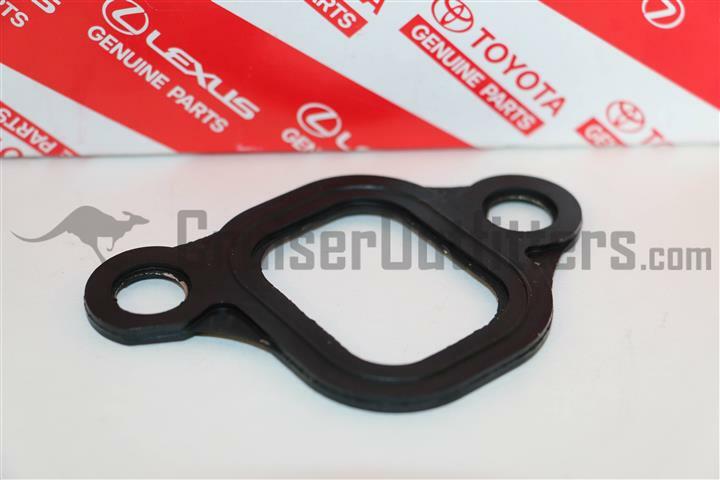 Includes Lever and Linkage Bushing. 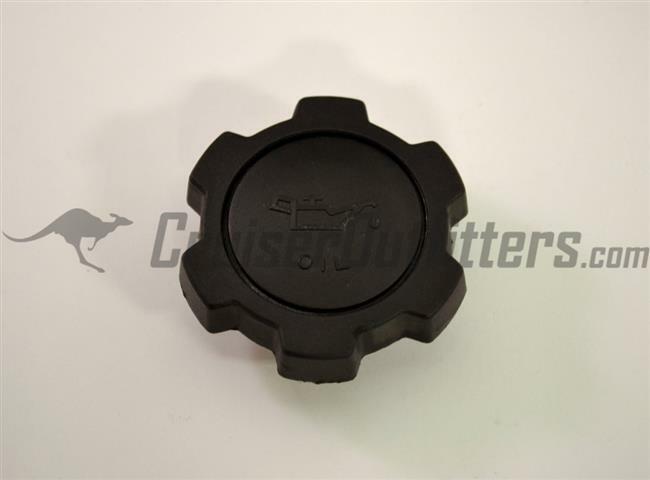 Order 5-Speed Knob Separately. 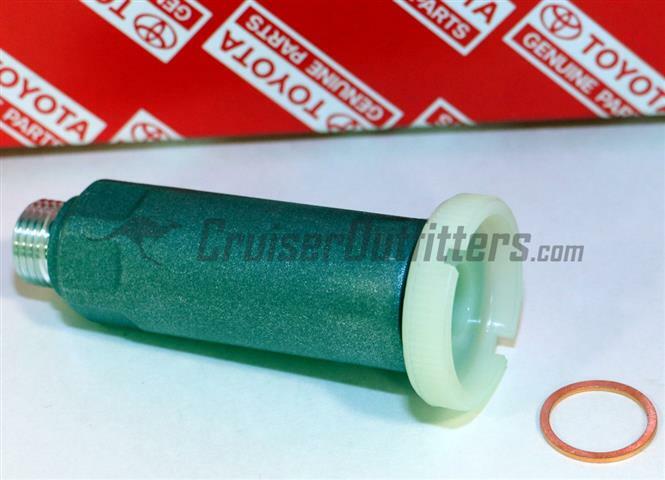 Factory Toyota H55F 5-Speed Transmission Shift Lever Replacement Bushing. 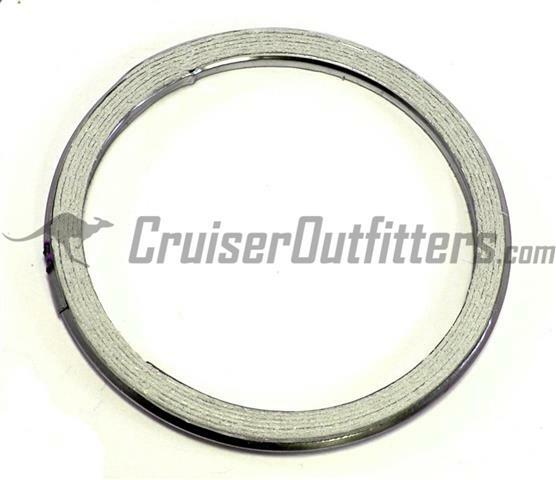 Fits 1958-1990 Land Cruiser with H55F transmission. 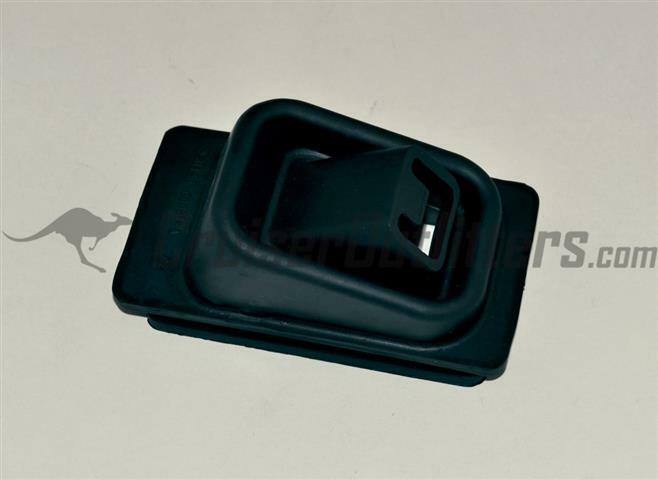 Order Lever Separately. 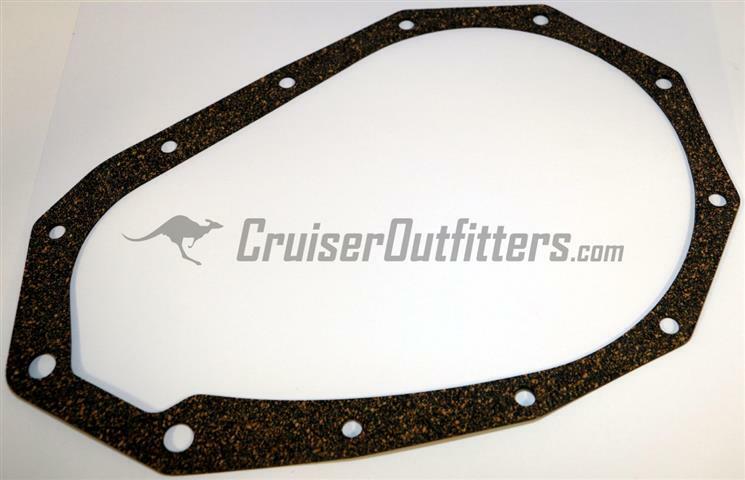 Fits 1958-1990 Land Cruiser with H55F transmission. 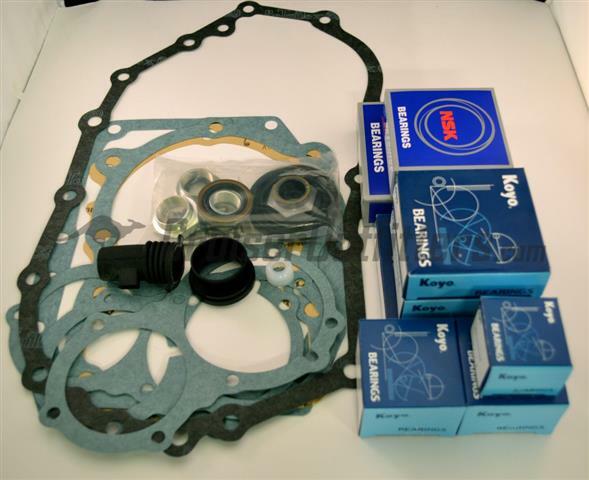 Transmission Rebuild kits include Japanese bearings, seals and gaskets, output shaft stake nut, o-rings and drain/fill plug washers. 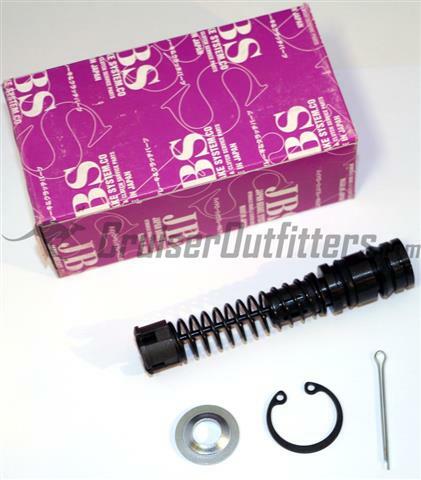 Kits do not include shafts, synchros, gears, collars, forks or shift linkage. 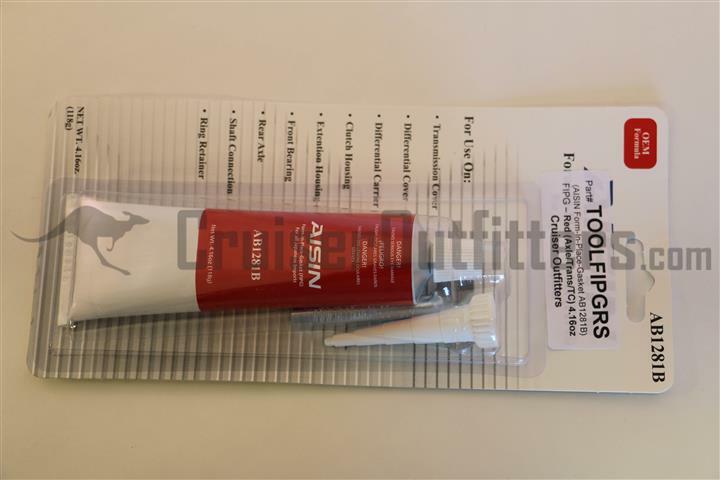 Those items are available by special order only. 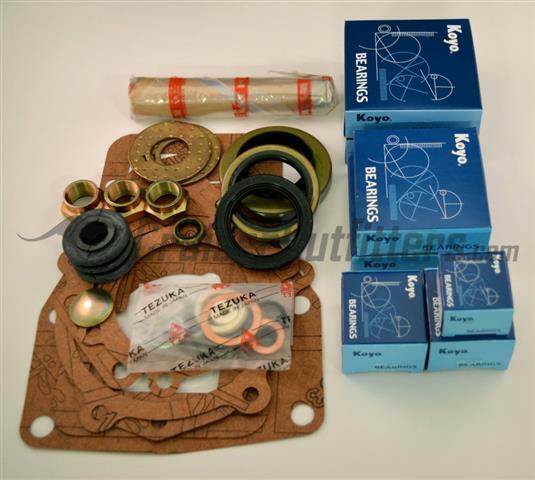 Transfer Case kits include Japanese bearings, idler shaft, seals and gaskets, output shaft stake nuts, o-rings and drain/fill plug washers. 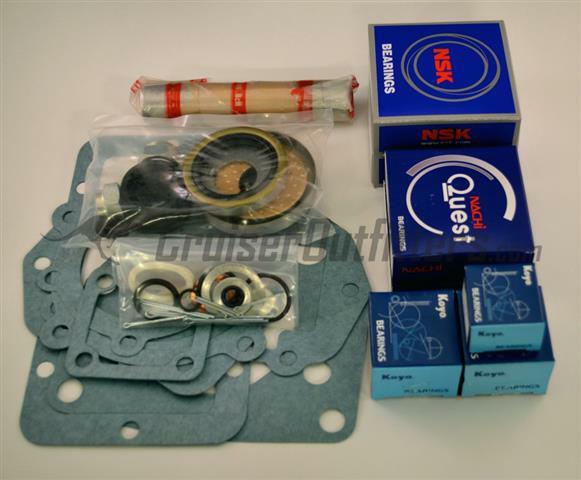 Kits do not include output shafts, gears, collars, forks or linkage components. 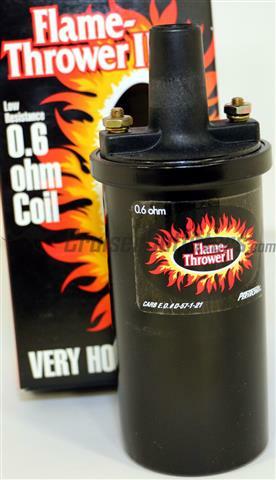 Those items are available by special order only. 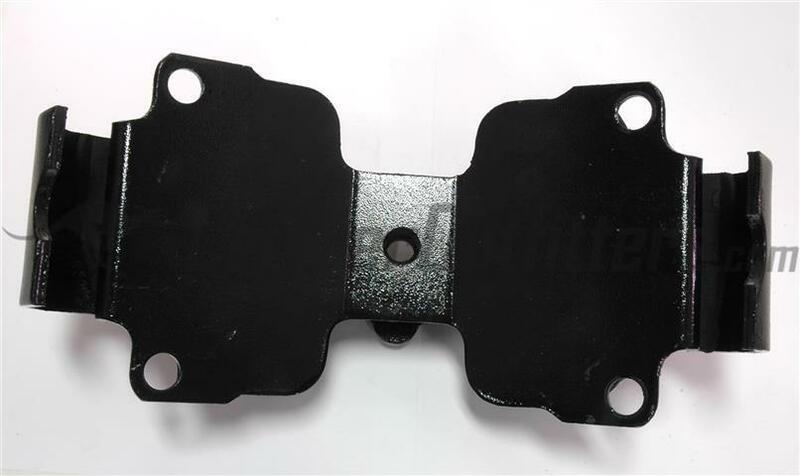 *Please verify idler shaft size by measuring the idler shaft where it protrudes from the back of your split transfer case. 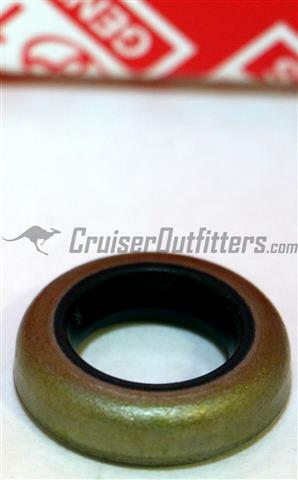 There is some noted overlap in the 34mm cases and some early uses of the 38mm cases. 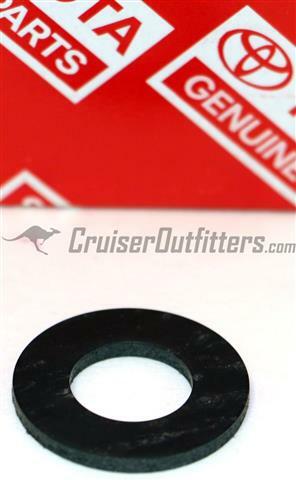 Please measure before ordering. 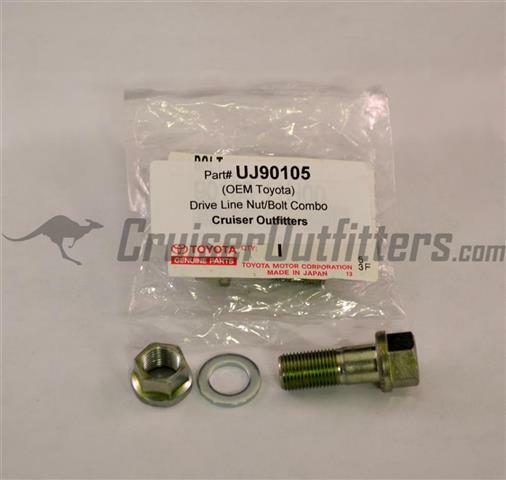 (Fits 1/1998-2007 UZJ100/LX470 with full-time 4WD Transfer Case. 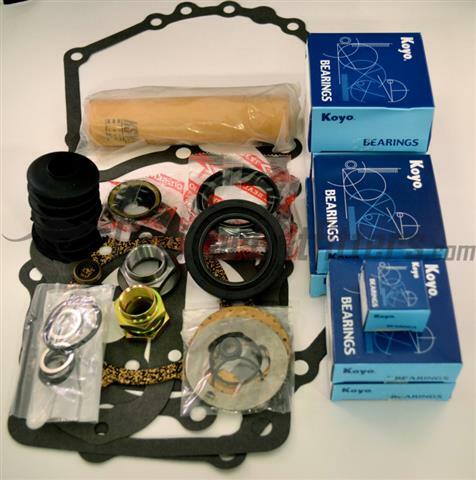 Note: Individual Transfer Case bearings, shafts and gears may be available on a special order basis. 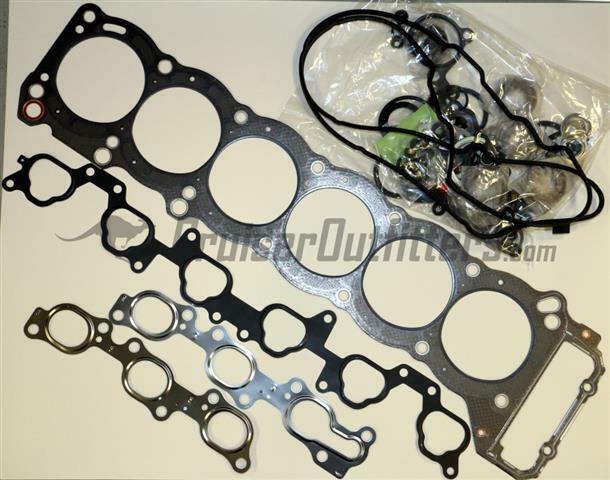 Please call or e-mail with your specific needs for pricing and availability. 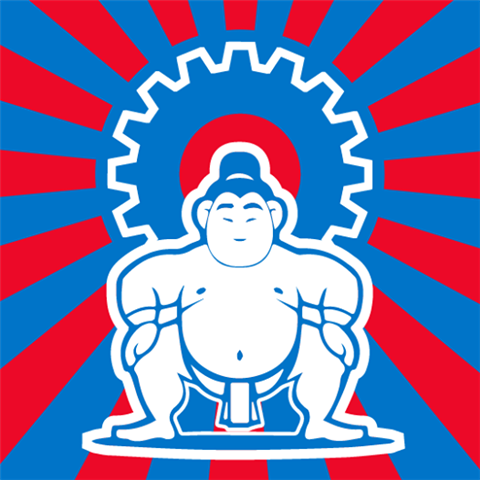 Sumo Gear sets are made to OE specifications in Japan. 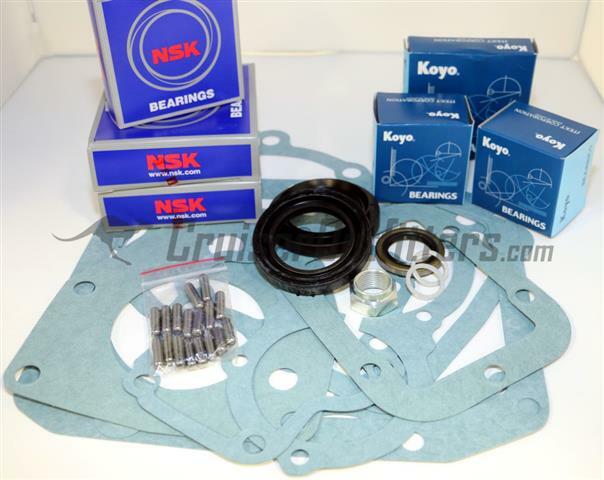 These popular gear sets offer transfer case gear reduction with the highest quality components on the market. 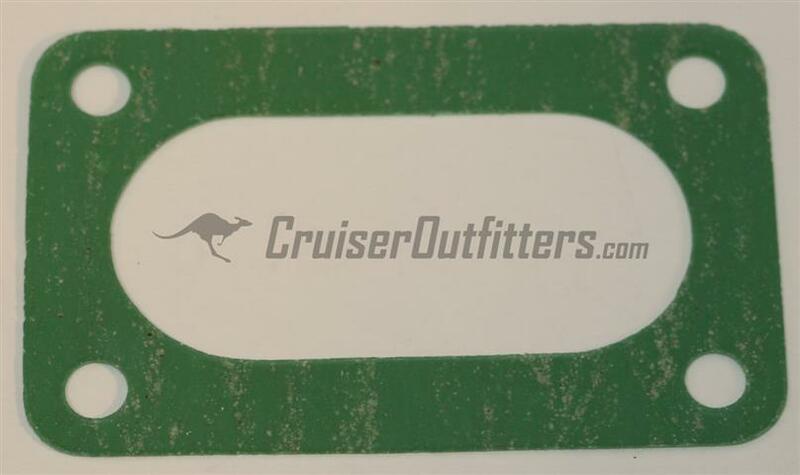 Give us a call if you have any questions or would like to place an order! 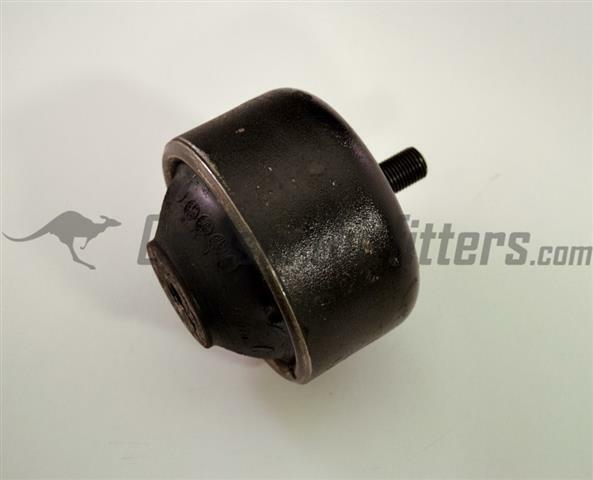 Fits Split-Cases with 34mm* Idler Shaft. 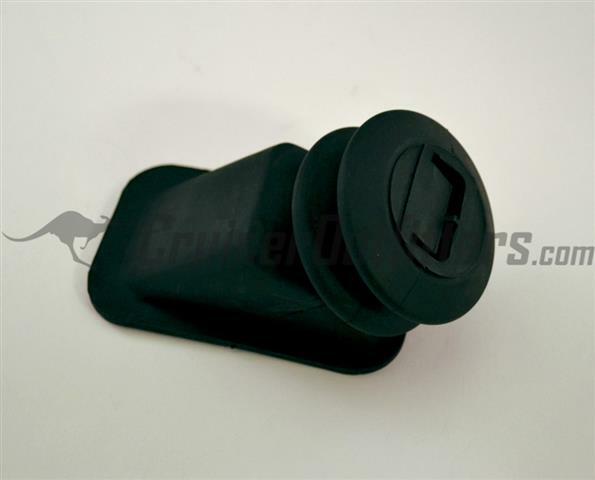 1:1 High Range. Requires minor clearancing to case housing. 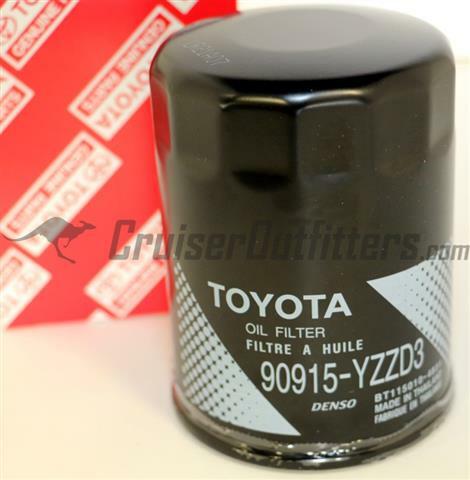 Made in Japan to OE Toyota specifications. 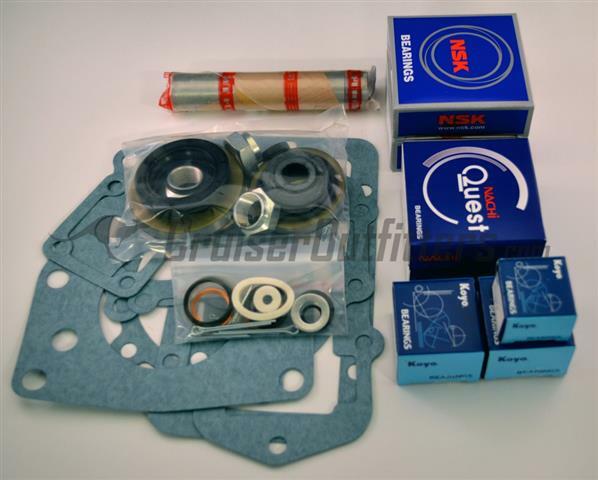 Includes replacement input gear, idler gear assembly, idler shaft, idler bearings & thrust washers and high and low speed output shaft gears. 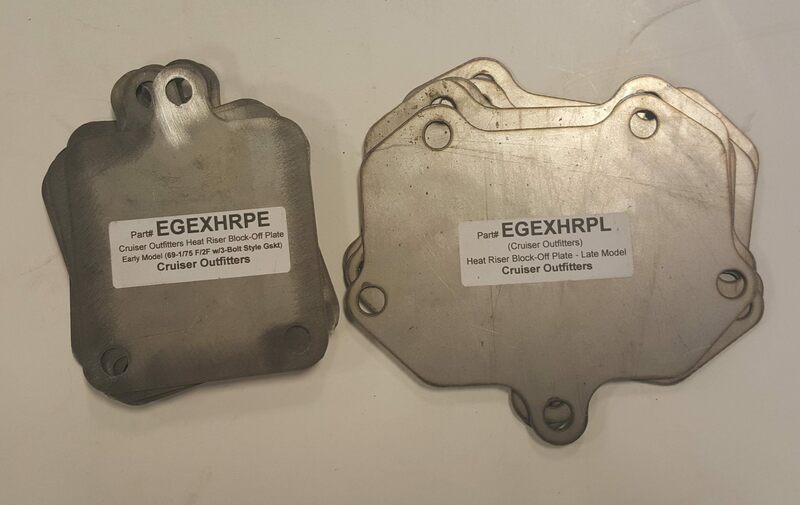 Fits Split-Cases with 38mm* Idler Shaft, also fits 1990+ non US 7x/8x split style transfer cases, please call with VIN for verification. 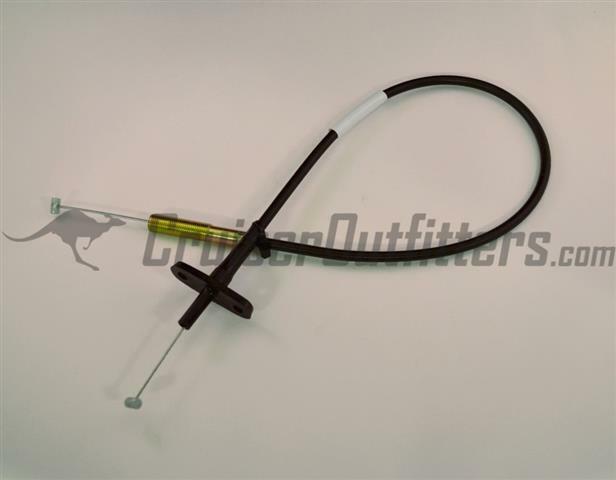 1:1 High Range. Requires minor clearancing to case housing. 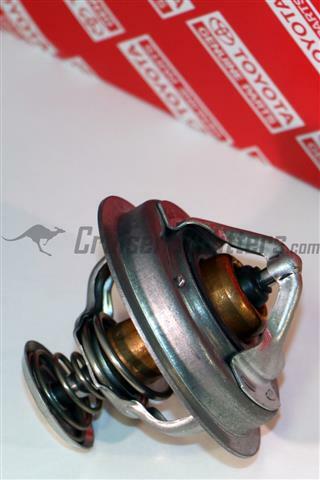 Made in Japan to OE Toyota specifications. 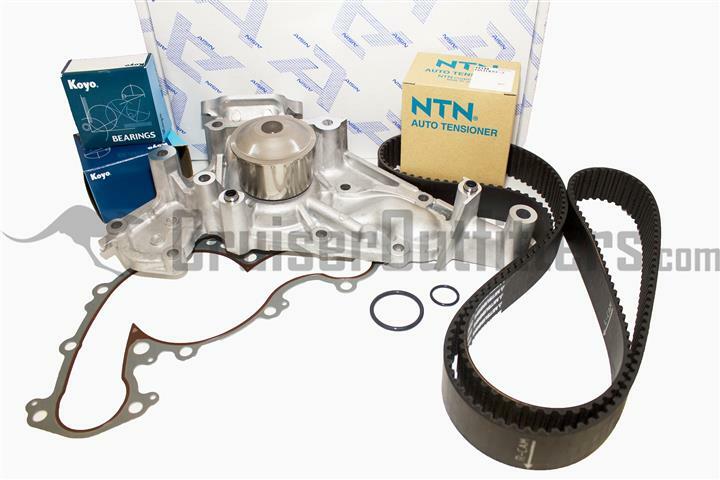 Includes idler gear and low-speed output gear. 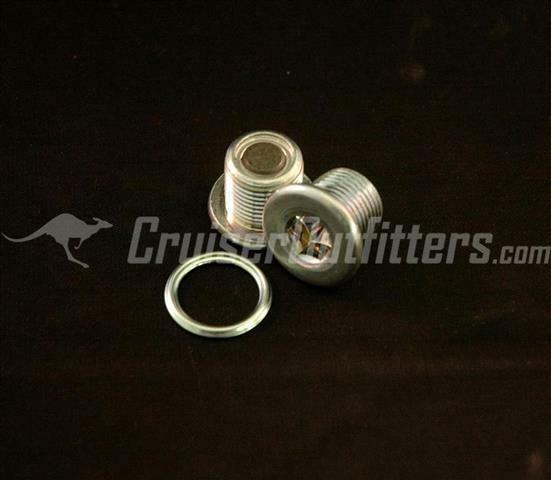 Fits Split-Cases with 34mm* Idler Shaft. 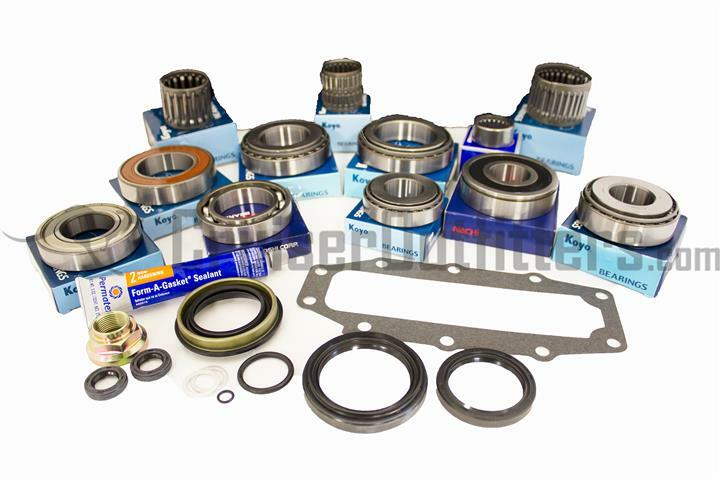 Includes replacement input gear, idler gear assembly, idler shaft, idler bearings & thrust washers and high and low speed output shaft gears. Requires minor clearancing to case housing. 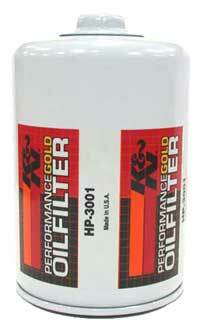 Factory ratio is 2:1-2.3:1, these 3.3:1 gears offer a 45-55% low range reduction and a 10% high range reduction. 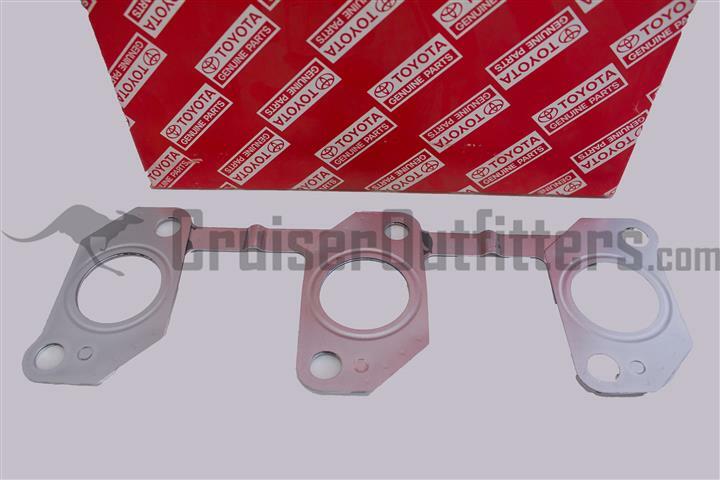 Made in Japan to OE Toyota specifications. 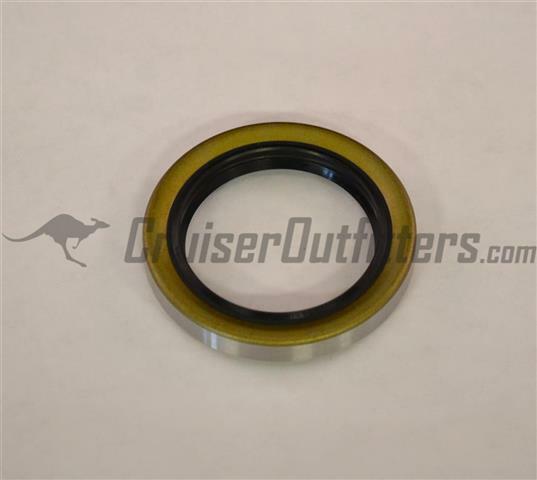 Fits Split-Cases with 38mm* Idler Shaft, also fits 1990+ non US 7x/8x split style transfer cases, please call with VIN for verification. 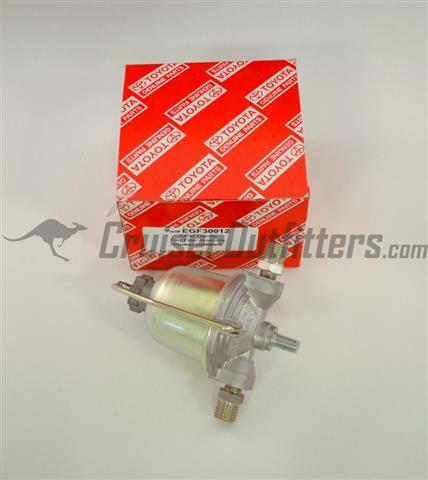 Includes replacement input gear, idler gear assembly and high and low speed output shaft gears. Requires minor clearancing to case housing. 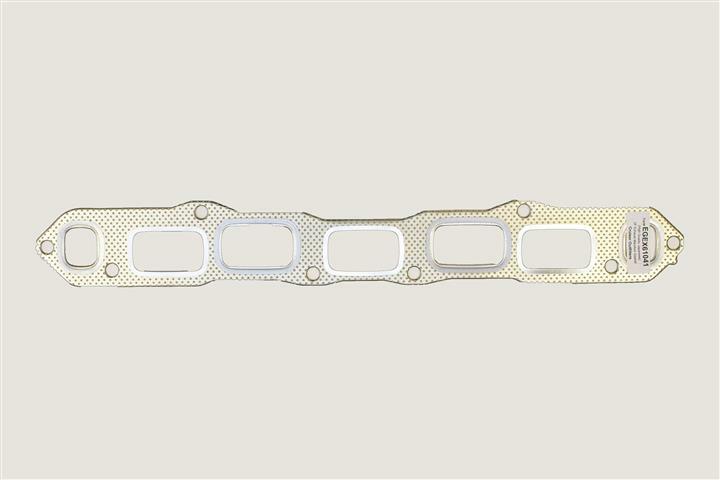 Factory ratio is 2:1-2.3:1, these 3:1 gears offer a 45-55% low range reduction and a 10% high range reduction. 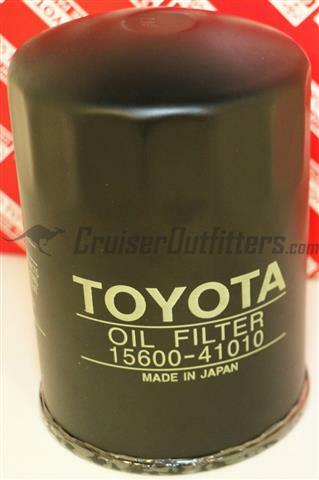 Made in Japan to OE Toyota specifications. 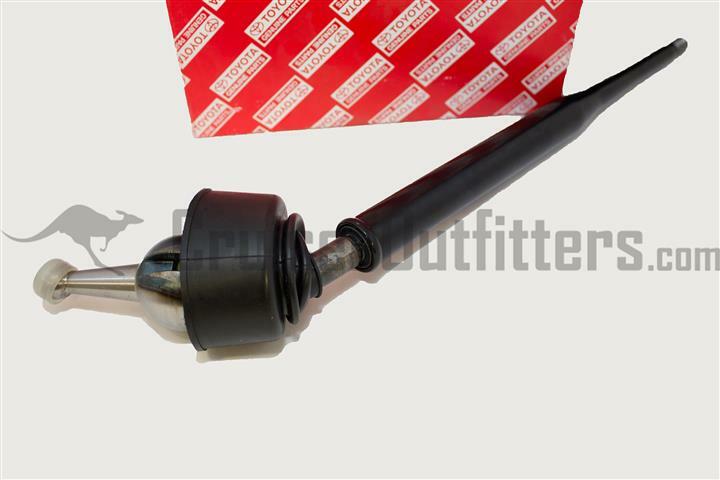 Fits Split-Cases with 34mm* Idler Shaft. 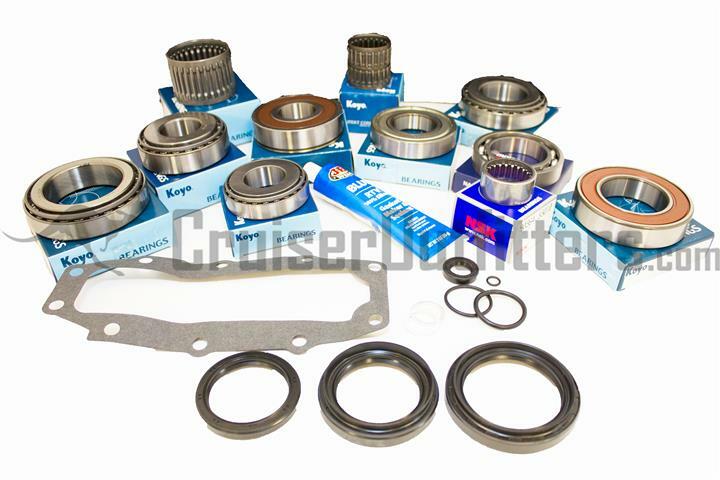 Includes replacement input gear, idler gear assembly, idler shaft, idler bearings & thrust washers and high and low speed output shaft gears. Requires clearancing to case housing. 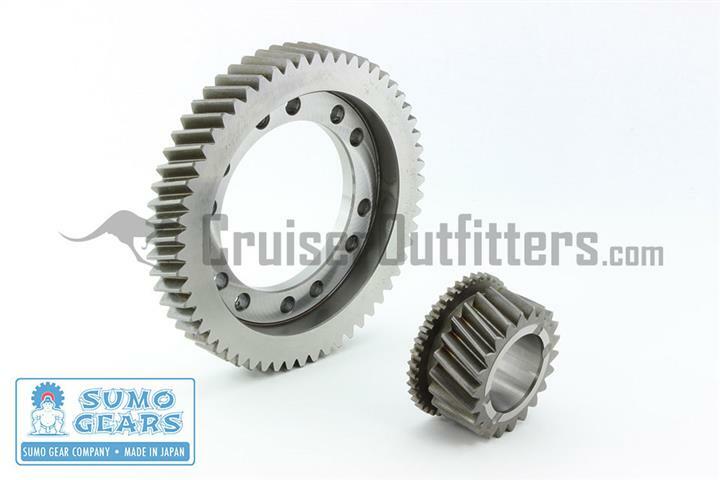 Factory ratio is ~2.3:1, these 4:1 gears offer a 75% low range reduction and a 10% high range reduction. 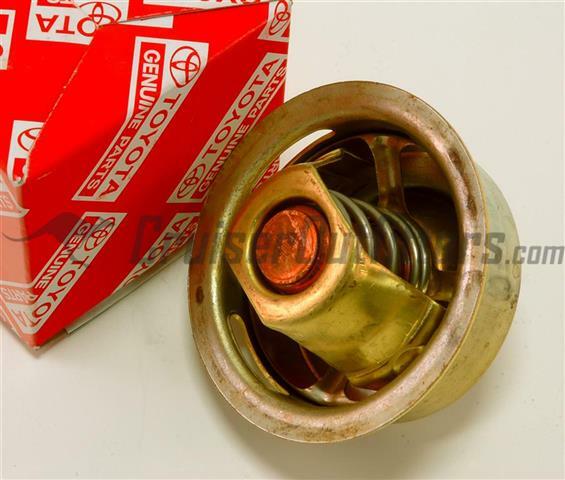 Made in Japan to OE Toyota specifications. 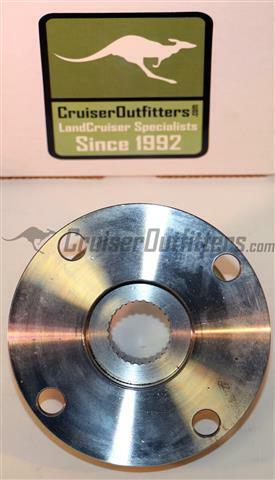 Fits Split-Cases with 38mm* Idler Shaft, also fits 1990+ non US 7x/8x split style transfer cases, please call with VIN for verification. 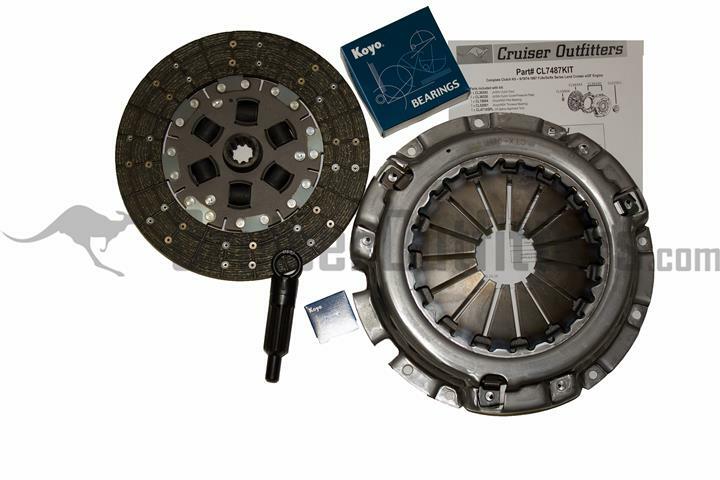 Includes replacement input gear, idler gear assembly and high and low speed output shaft gears. Requires clearancing to case housing. 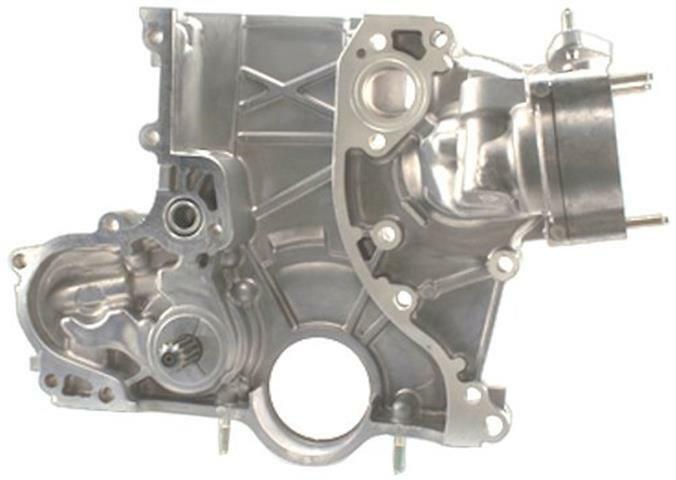 Factory ratio is ~2.3:1, these 4:1 gears offer a 75% low range reduction and a 10% high range reduction. 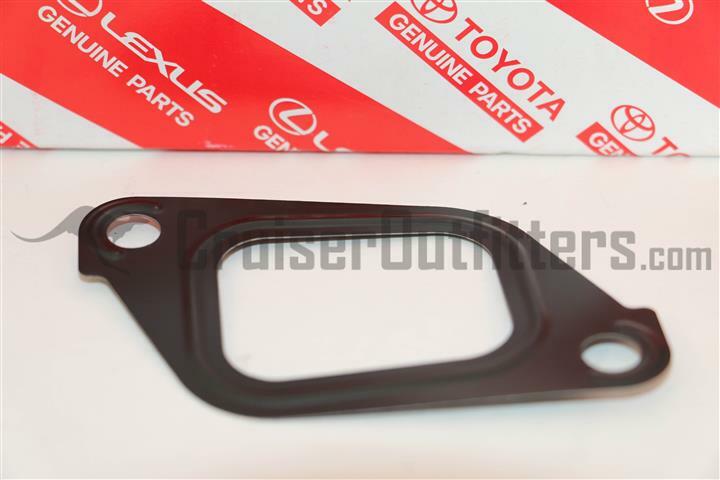 Made in Japan to OE Toyota specifications. 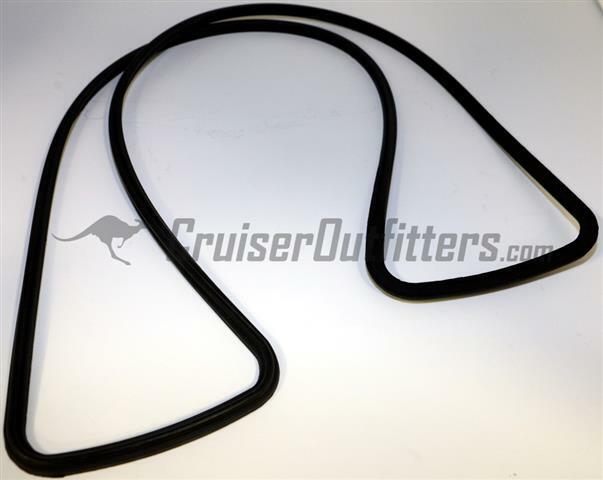 Fits 1/1990-1/1998 8x Series/LX450 and 98-07 100 Series Land Cruisers/LX470 (100/470 applications require additional parts, call for info). 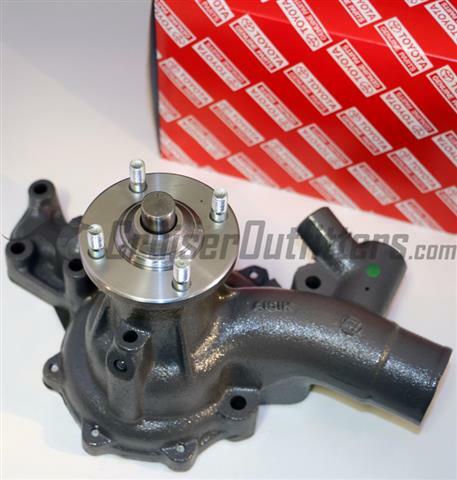 Fits factory full-time (HF2A/HF2AV) transfer cases found in US Spec and global market Land Cruisers. 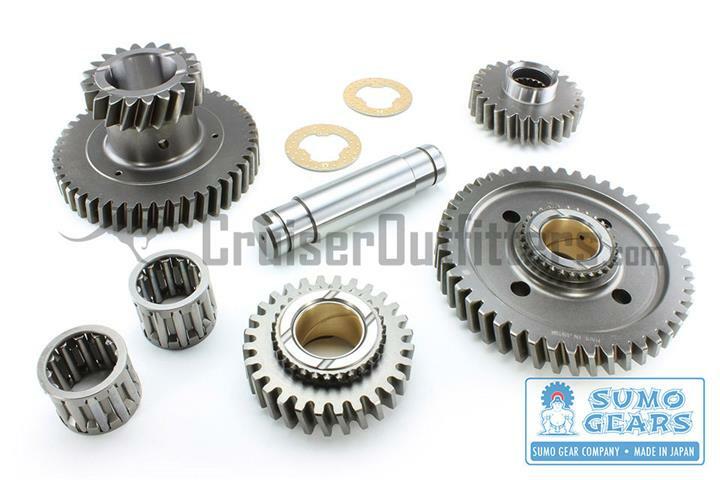 These gears offer a 10% overdrive in high range, equivalent to converting axle gears from the 4.10 to 3.70 gears without having to do ring & pinion work. 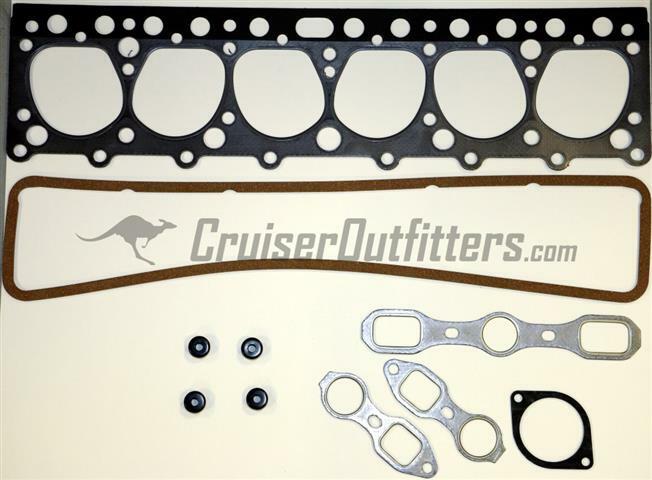 Fits 1/1990-1/1998 8x Series/LX450 and 98-07 100 Series Land Cruisers/LX470 (100/470 applications require additional parts, call for info). 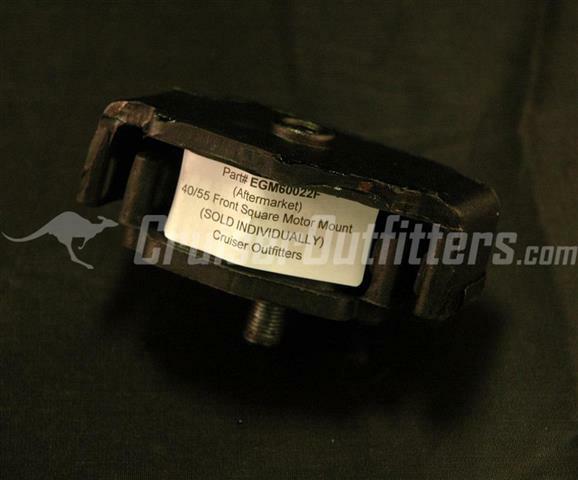 Fits factory full-time (HF2A/HF2AV) transfer cases found in US Spec and global market Land Cruisers. 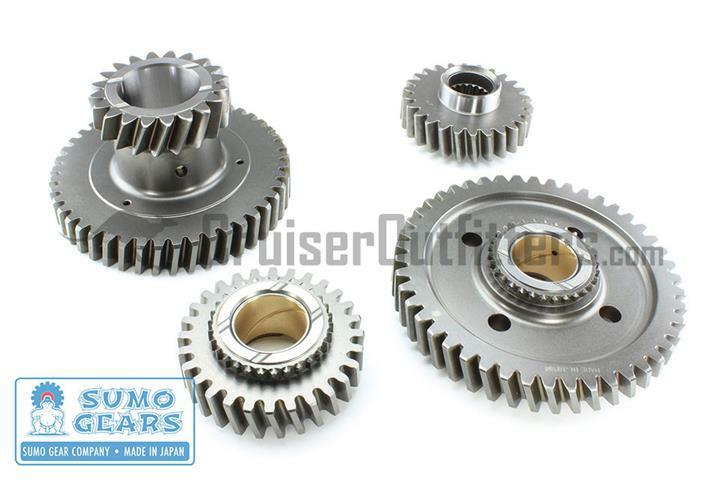 These gears offer a 10% underdrive in high range, equivalent to converting axle gears from the 4.10 to 4.56 gears without having to do ring & pinion work. 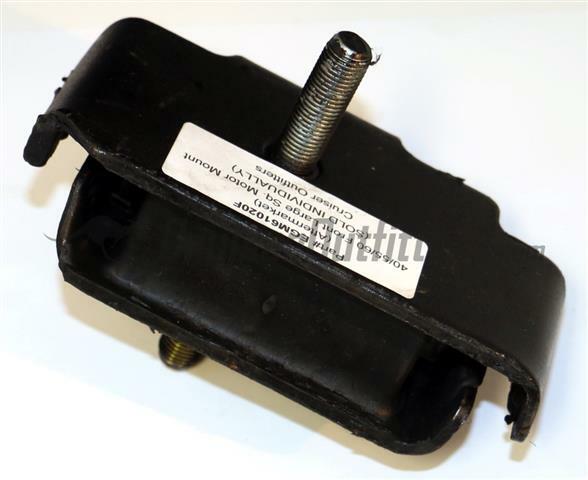 Fits 1/1990-1/1998 8x Series/LX450 and 98-07 100 Series Land Cruisers/LX470. 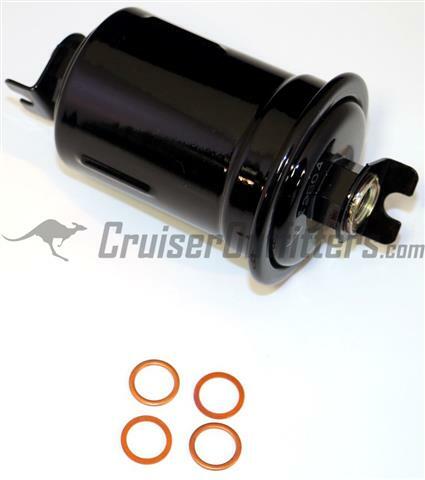 Fits both factory part-time (H1FA) and full-time (HF2A/HF2AV) transfer cases found in US Spec and global market Land Cruisers. 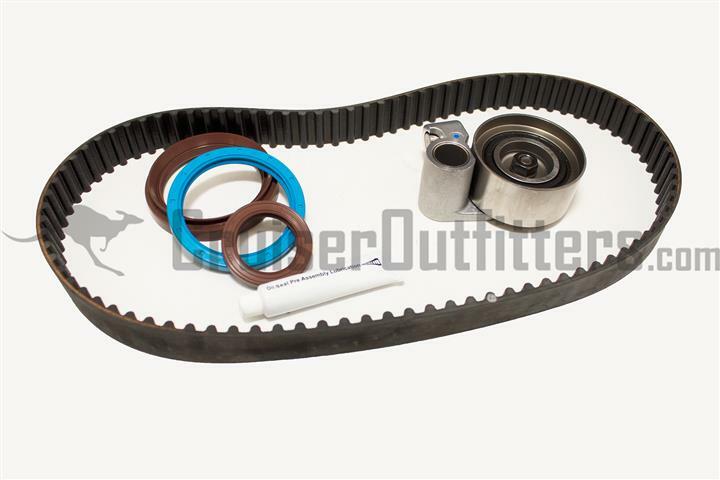 Includes both low speed output gear and idler gear. 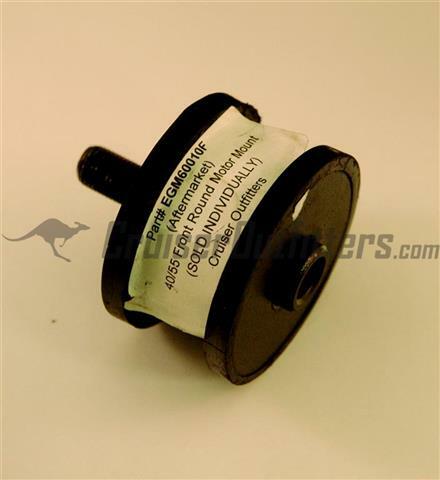 Minor case clearancing is required using a die-grinder, otherwise these are a direct fit to your 80/100 Series transfer case. 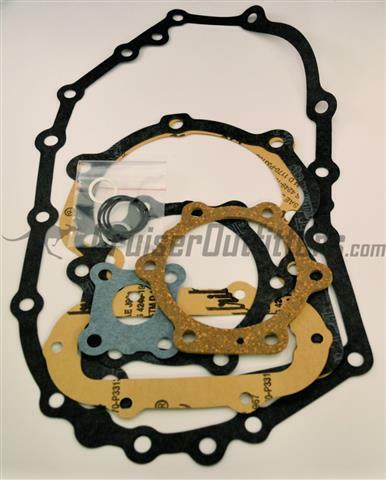 Factory ratio is 2.49:1, these 3.1:1 gears offer a 25% low range reduction with no change to the 1:1 high range. 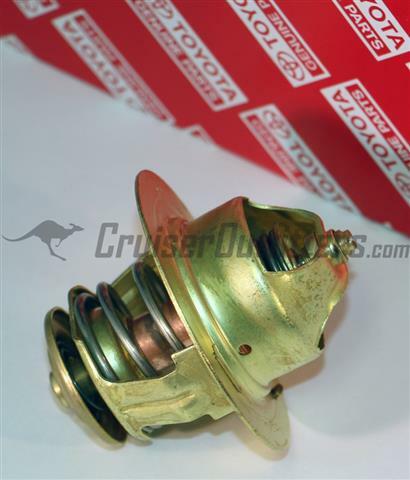 Made in Japan to OE Toyota specifications. 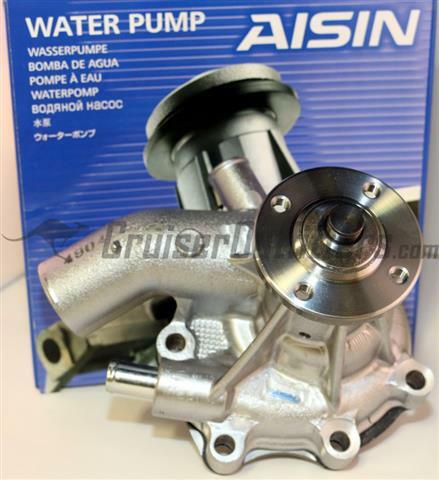 Includes T-Case Spool, 2 x AISIN Hubs (Gold, other colors available) & Hub Gaskets. 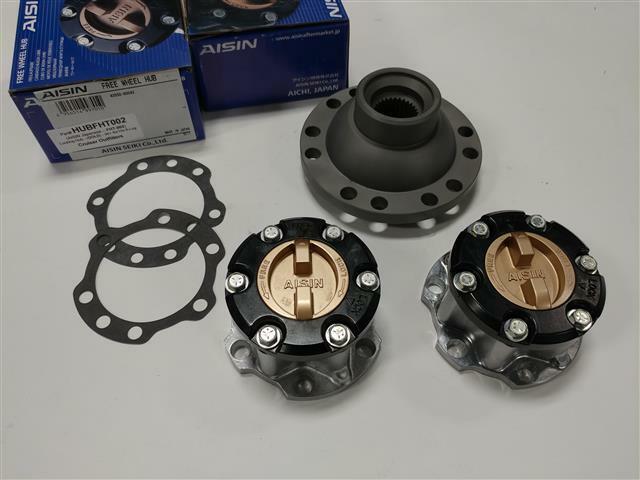 Fits 2/1995-1/98 FZJ80/LX470 - Includes T-Case Spool, 2 x AISIN Hubs (Gold, other colors available), Hub Gaskets & OEM CDL Switch. See note below. 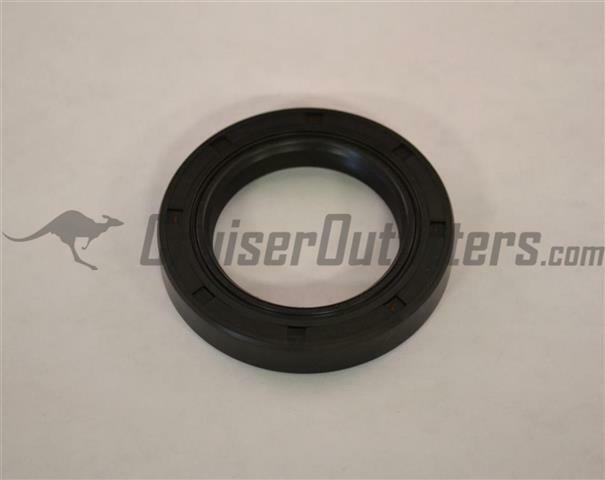 NOTE: 4/1994 - 1/1998 80 Series vehicles will require replacement birfields featuring a double groove for the snap ring, machining a second groove in the stock birfield for a lower snap ring or use of 1/90-4/94 "short" birfields. 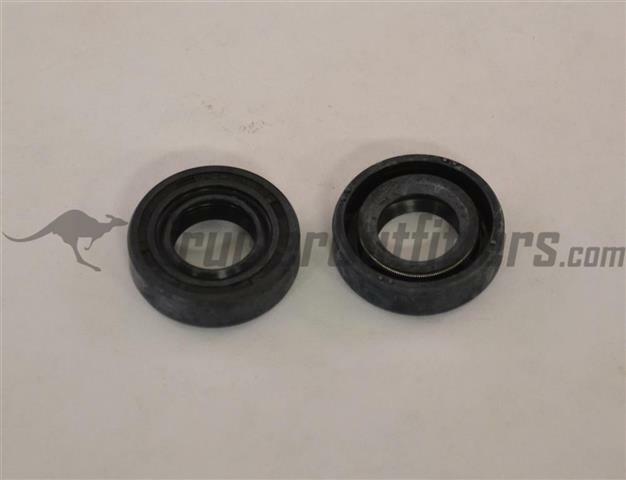 We have birfs in stock to accommodate this, please see our RCVJ2474-30TRCV, FAXBIRFFJ80HDKIT, FAXTBIRFFJ80HD, TG301720-1-KIT, FATG303709 offerings featuring dual snap ring groove birfield outer axles. 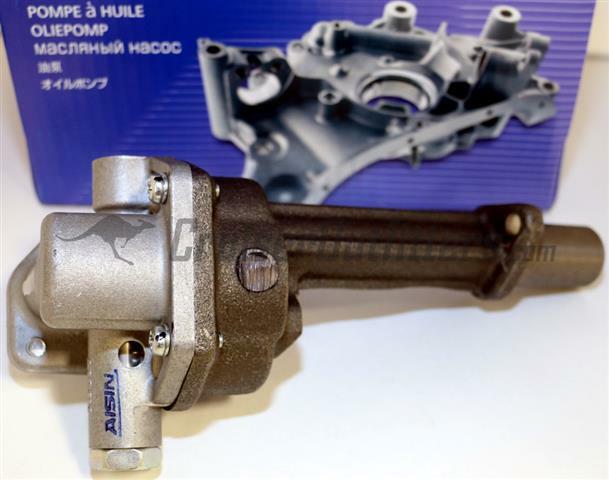 ABS equipped 80's will not have functioning ABS (light will be illuminated) when front hubs are unlocked, brakes will function like a standard non-ABS application. 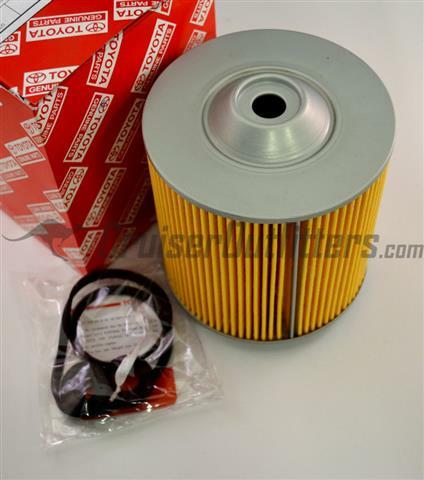 Aftermarket ABS kits can be installed to provide ABS in all conditions, please call/email for info. 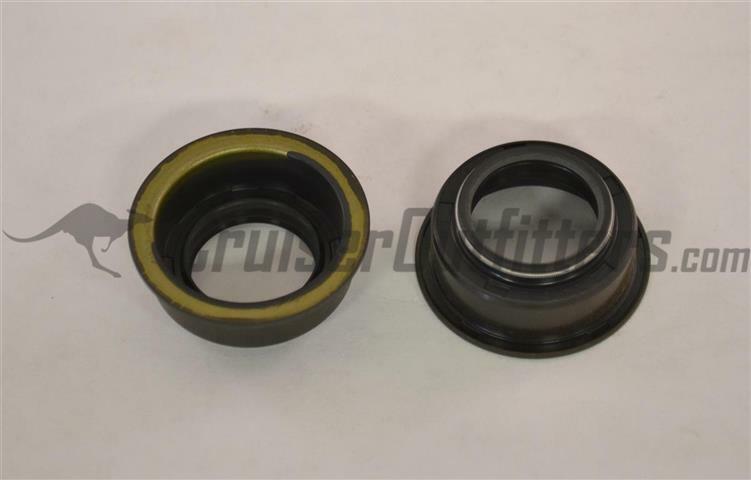 Installing the spool does require removing the bearing from the rear half of the factory center diff housing, this bearing will then be pressed onto the provided spool. 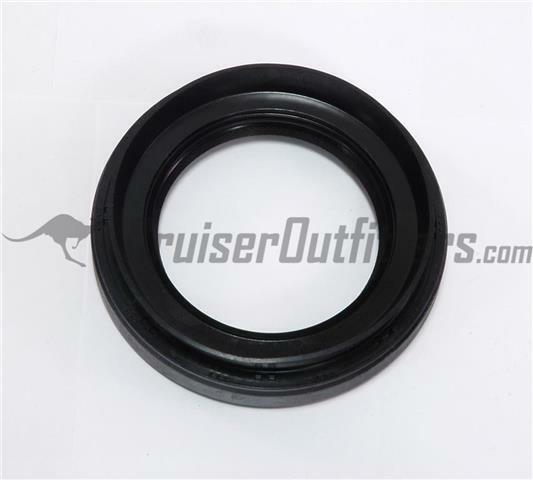 In the event you don't want to worry about removing/pressing the bearing, we can supply and install. 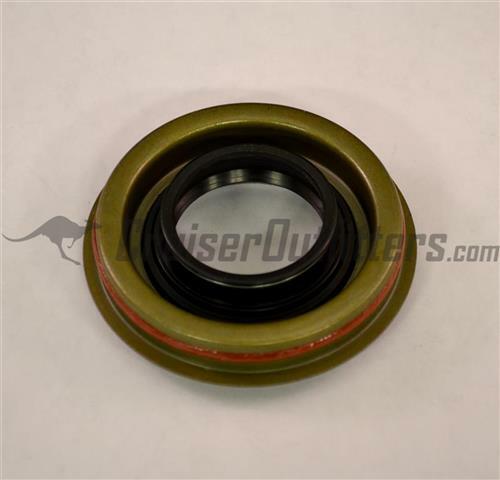 Please order TCB60008 - $62.50 at the same time as part-time conversion order and we will press the bearing on for no additional charge. 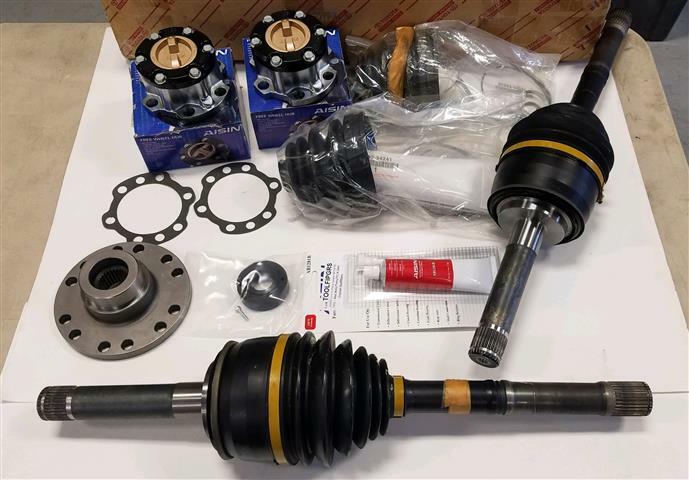 Includes 2 x OEM Outer CV Joints, CV Boot/Clamp Kit, T-Case Spool, 2 x AISIN Hubs (Gold, other colors available), Hub Gaskets & TOOLFIPGRS (Requires re-use of original CV axle, all parts included for swap). 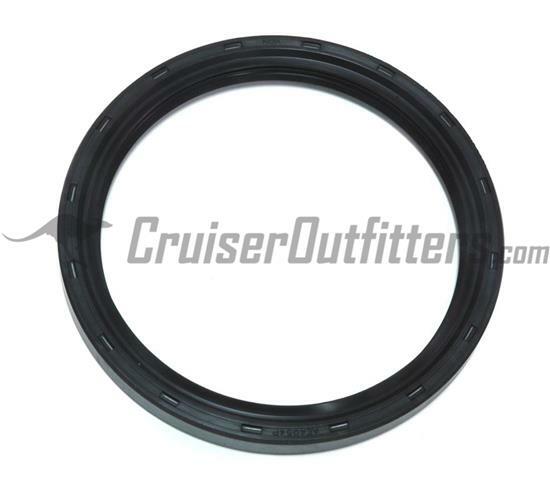 Order Spool Bearing (TCB60008) and Inner CV Seals (FACV47012/FACV47013) separately as needed. 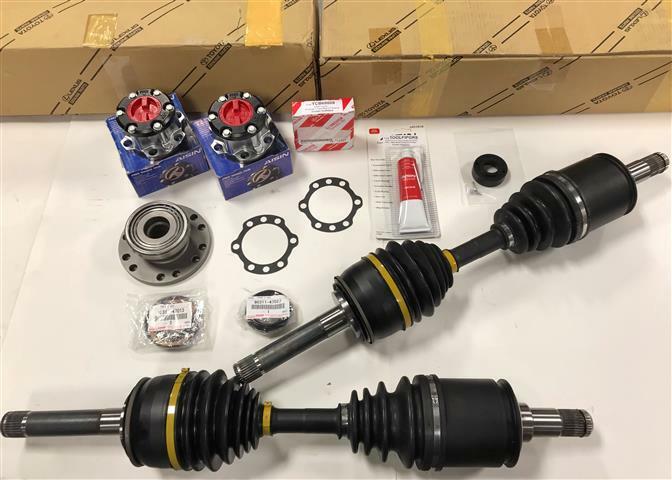 Includes 2 x OEM Complete CV Axle Assemblies, T-Case Spool, 2 x AISIN Hubs (Gold, other colors available), Hub Gaskets & TOOLFIPGRS. 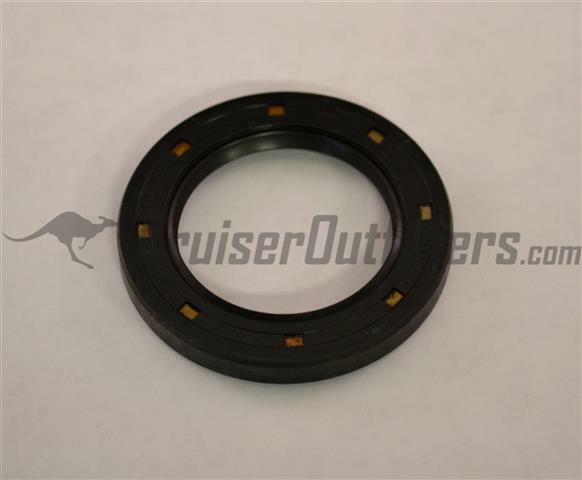 Order Spool Bearing (TCB60008) and Inner CV Seals (FACV47012/FACV47013) separately as needed. 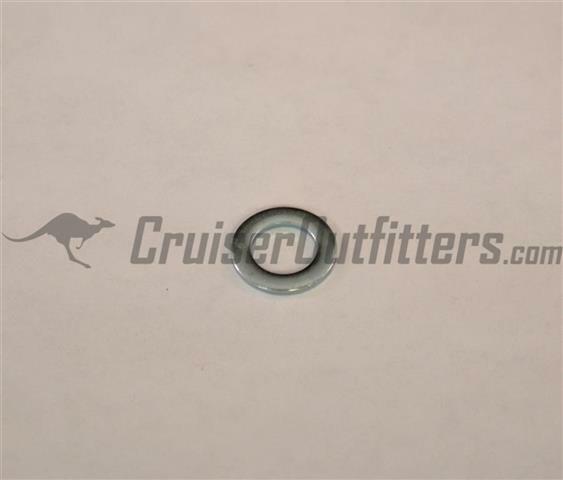 Fits 1/1990-07 80 & 100 Series Land Cruiser. 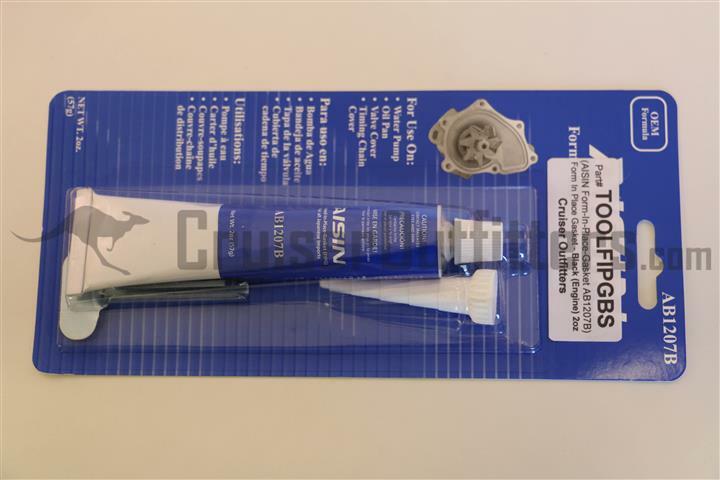 Includes T-Case Spool and instructions. 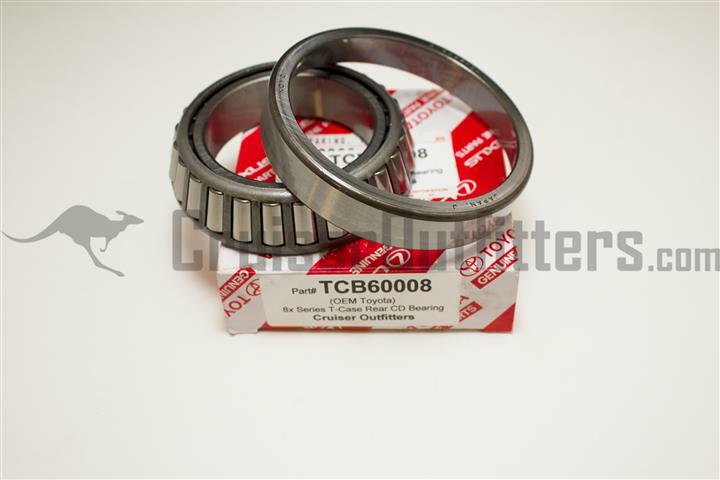 Original bearing will need to be removed and re-installed or purchase part# TCB60008 below. 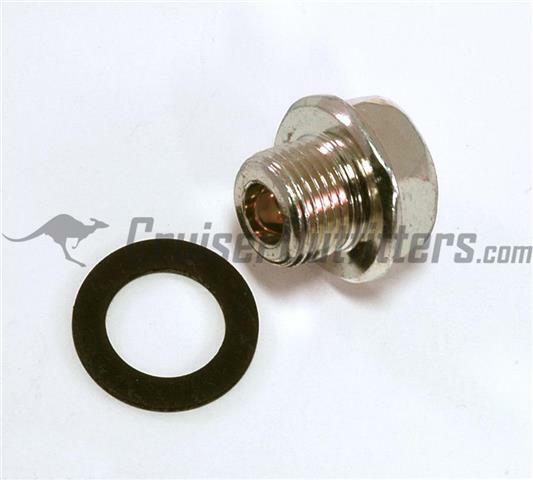 Fits 1/1990-07 80 & 100 Series Land Cruiser. 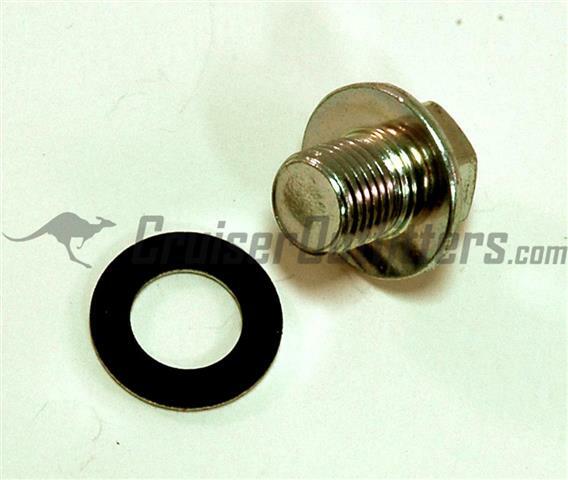 Allows installation of the part-time spool without requiring reuse of the original bearing. 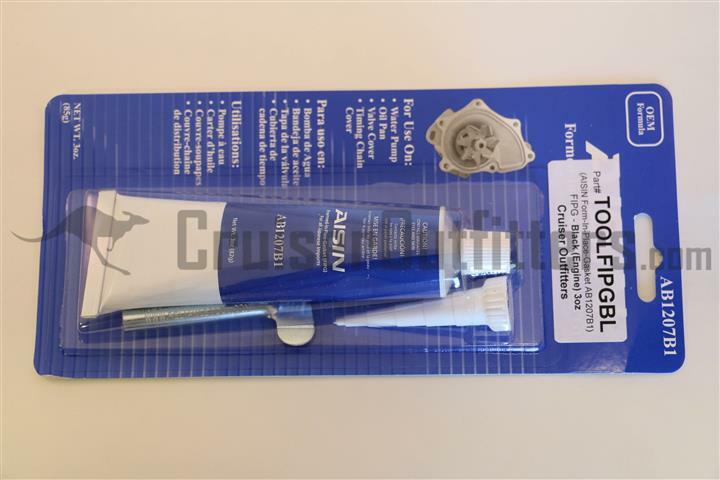 Free installation with purchase of 80 or 100 Part-Time Kit. 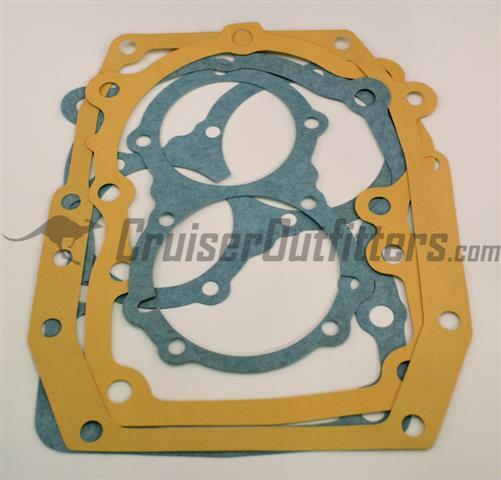 Kits include gaskets only, please order seals shown below as needed. 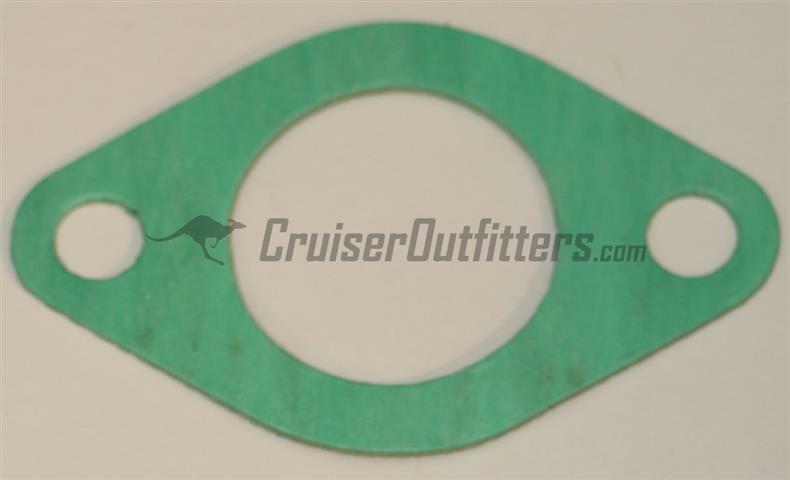 Transmission Front Nose Cone Seal - $6.00 ea. Transmission to Transfer Case Seal - $6.00 ea. 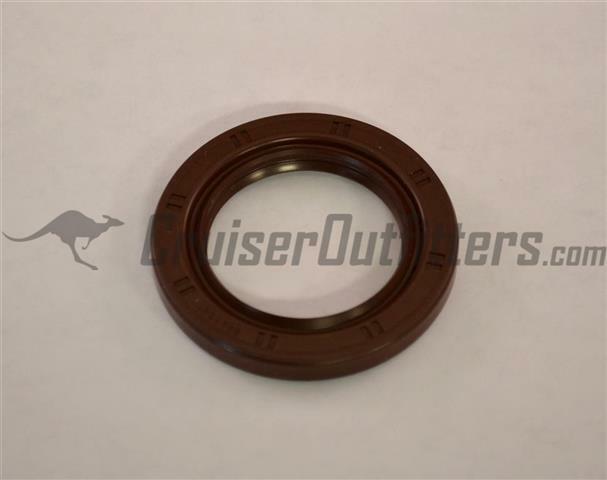 Transfer Front Output Seal 69'-80' - $6.00 ea. 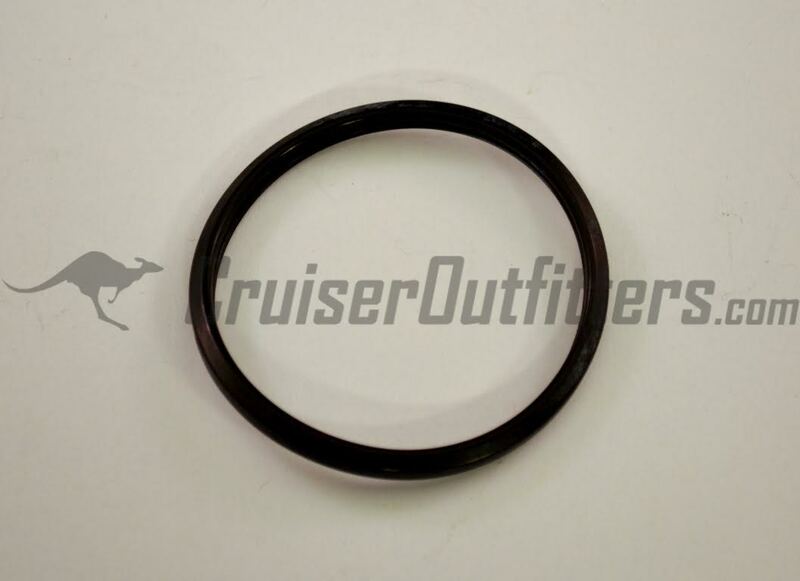 Marlin Crawler Heavy Duty Front Output Seal - $16.00 ea. 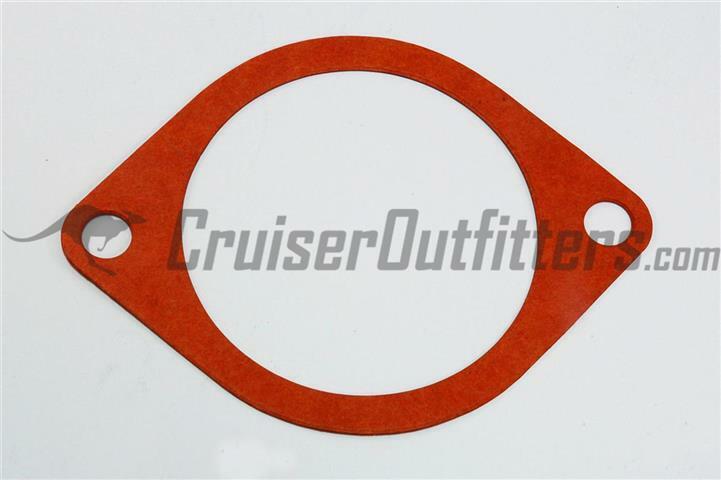 Transfer Front Output Seal 80'-90' - $6.00 ea. 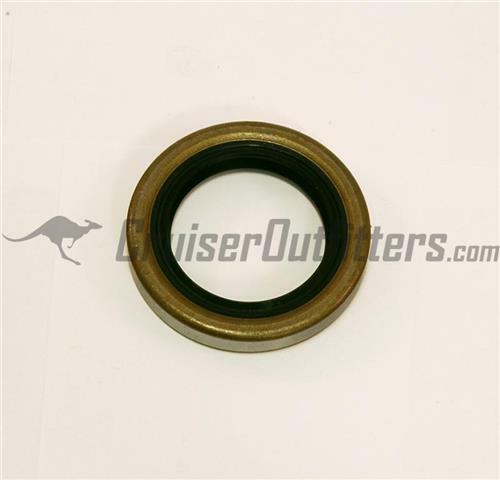 Transfer Rear Output Seal 69'-80' - $6.00 ea. 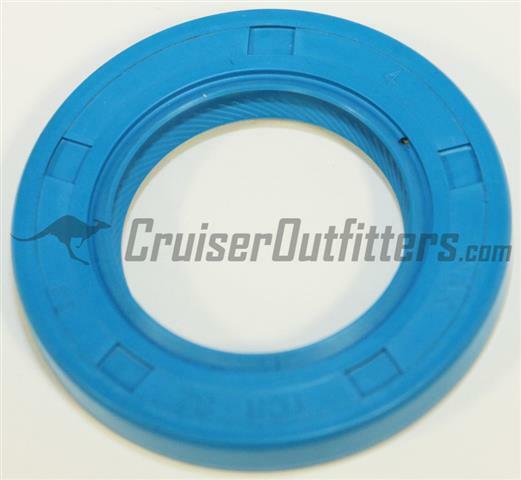 Transfer Rear Output Seal 80'-85' - $6.00 ea. Transfer Rear Output Seal 85'-90' - $6.00 ea. 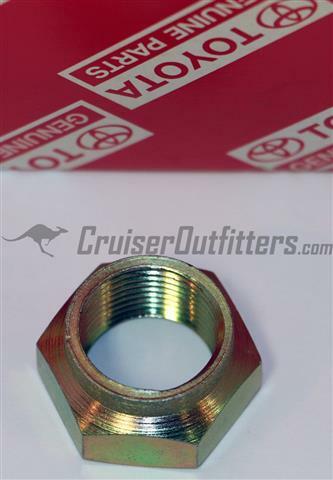 Transfer Front/Rear Output Nut - $4.50 ea. 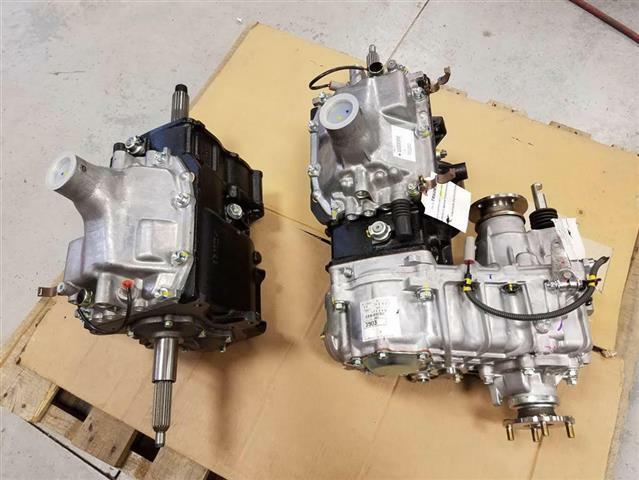 4 Speed Transfer Case, Stake Style. 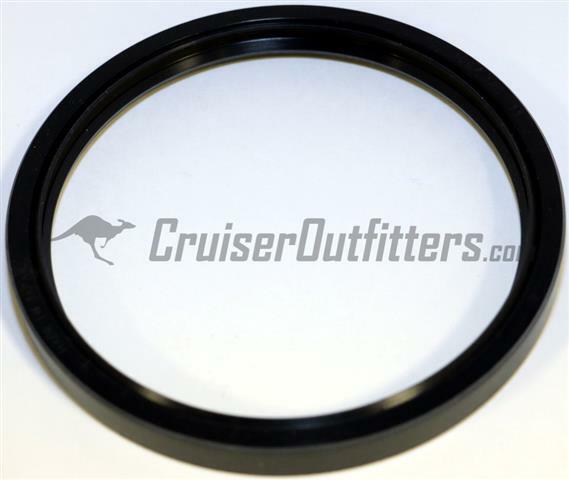 T/C High-Low Shaft Seal - $4.50 ea. 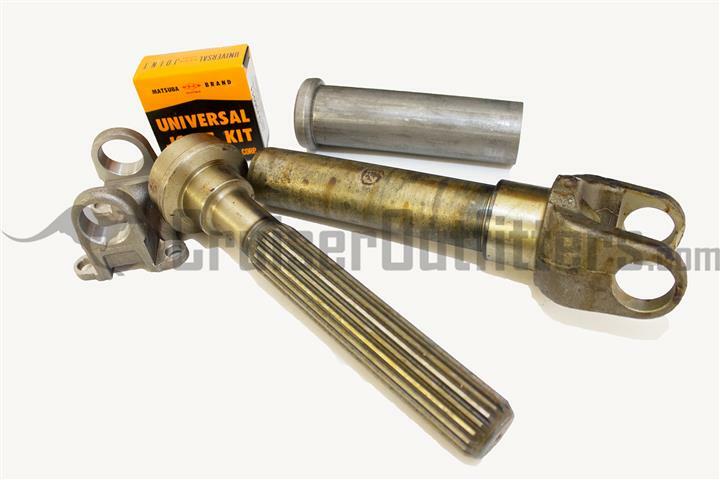 3 & 4 Speed Transfer Case Hi-Low Selector Shaft Seal. 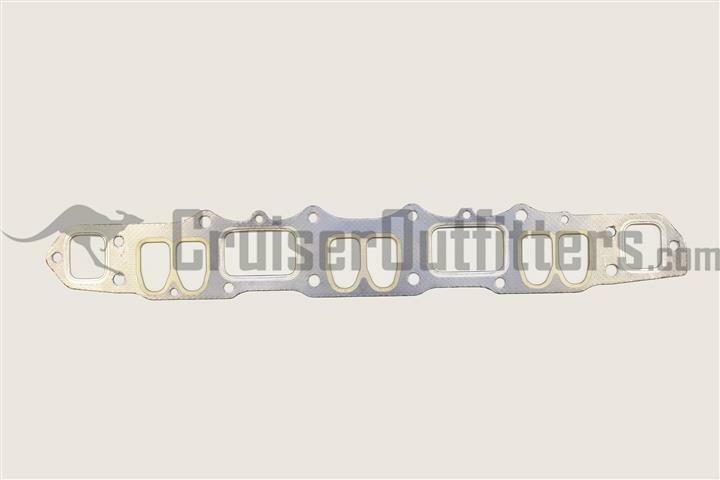 4 Speed & Split Transfer Case Hi-Low Selector Shaft Seal. 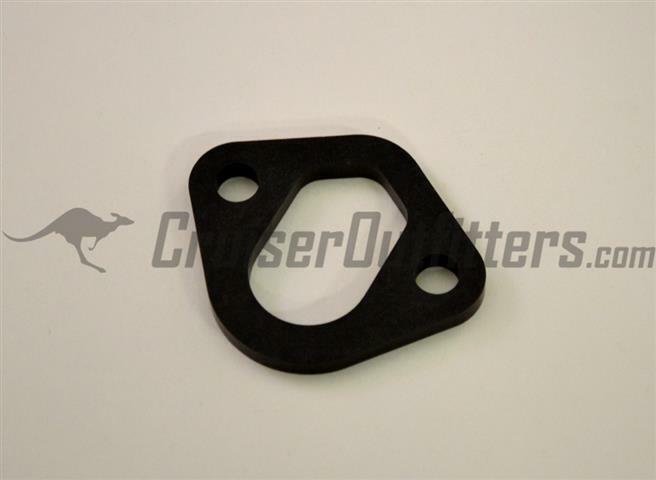 Split Transfer Case 2WD - 4WD Selector Shaft Seal. 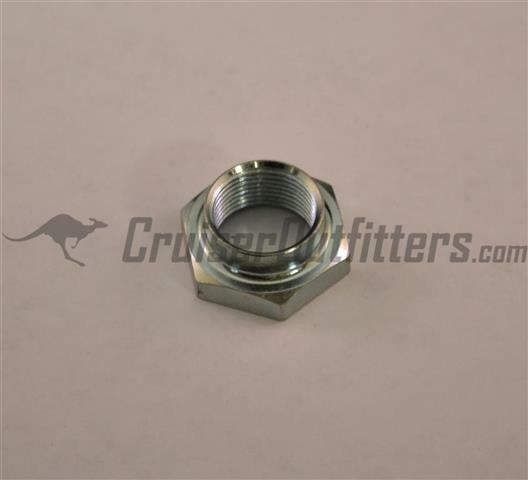 Transmission Rear Output Shaft Nut - $6.50 ea. 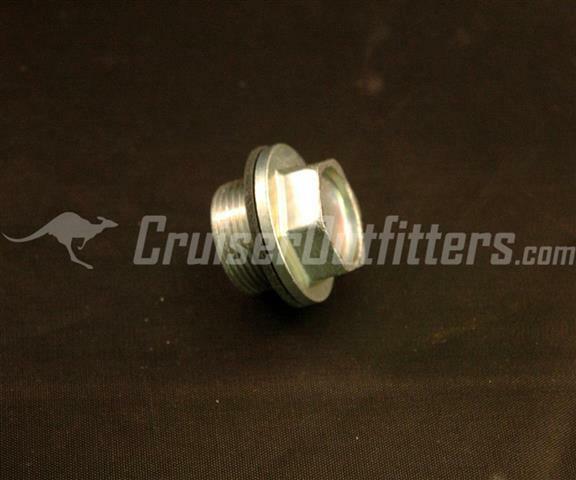 Transmission Rear Output Shaft Nut - $4.50 ea. 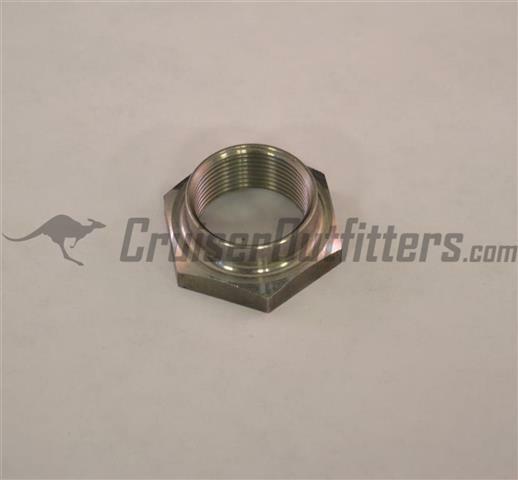 Transmission Rear Output Shaft Nut - $7.50 ea. 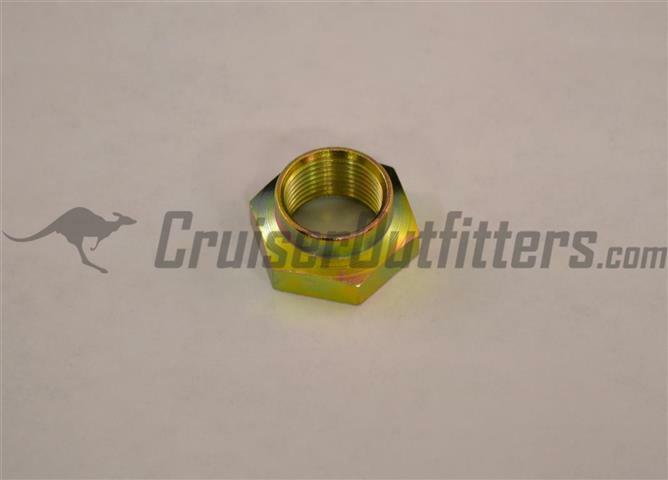 T-Case Output Shaft Nut - $4.50 ea. 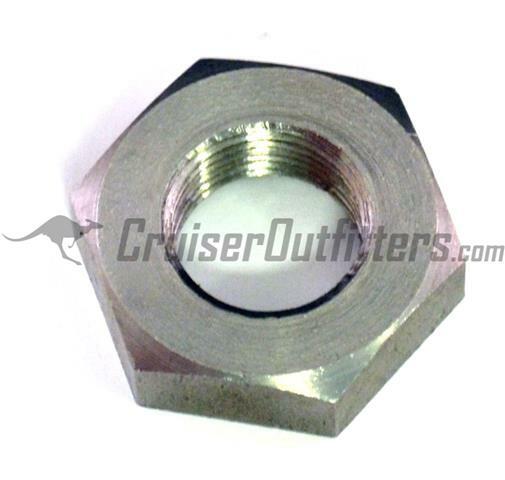 T-Case Output Shaft Nut - $6.00 ea. 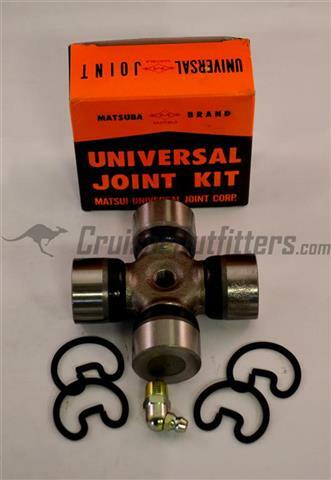 Modify your existing driveline with this long-travel slip joint kit to have a full 8" slip joint assembly versus the 4" factory supplied Toyota option. 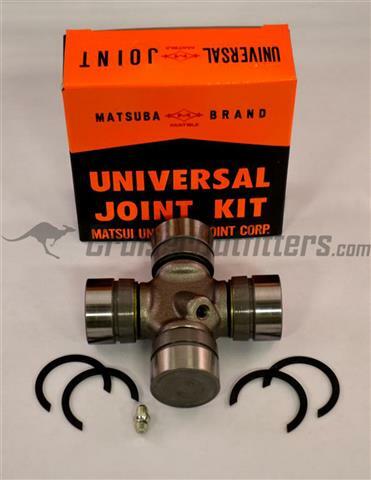 Includes slip joint assembly, Matsuba high-quality U-Joint and driveline flange. 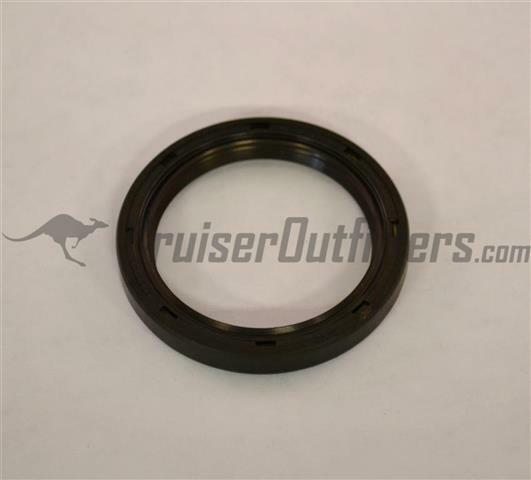 Fits Early-Current Land Cruisers & Toyota's - Some models will require pinion flange modifications or replacement to fit the 60x60x10mm supplied driveline flange. 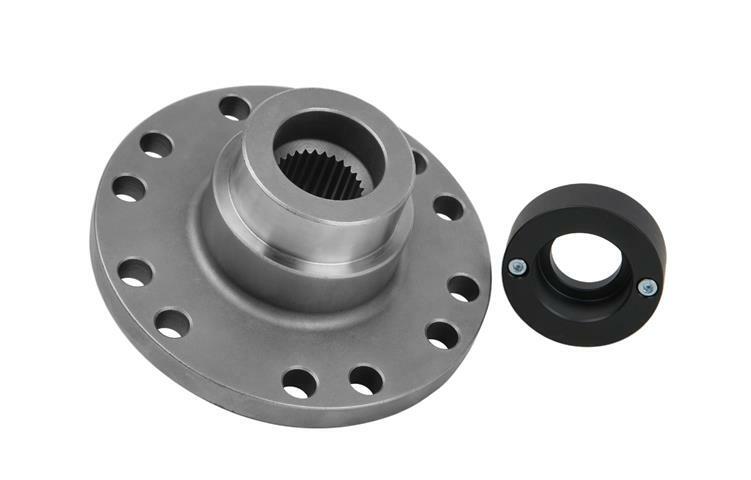 We offer replacement flanges in 10-spline, 27-spline & 29-spline variations. Please call for additional information. 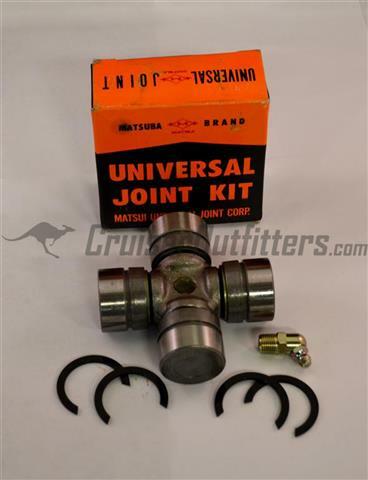 Universal Joints - $37.50 ea. 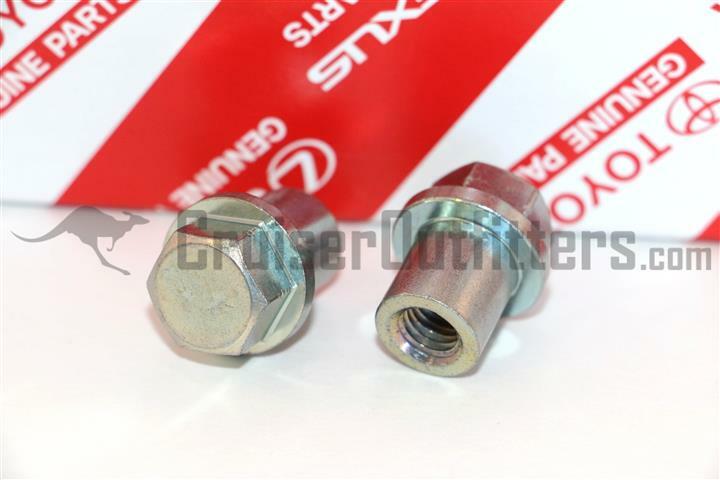 FAQ: What size bolts does my driveline use? 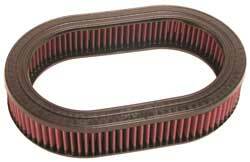 Tech Tip: Use Part# SPCB69055 or SPCB69105 for extended length 40 and 55 Series drivetrain applications. 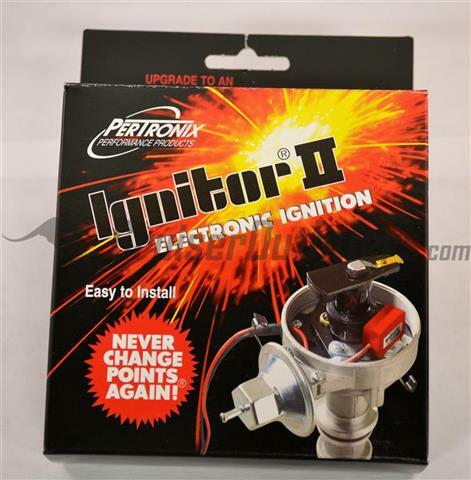 Upgrade to electronic ignition and never have to mess with points again. Will not overheat unit with key left in on position. 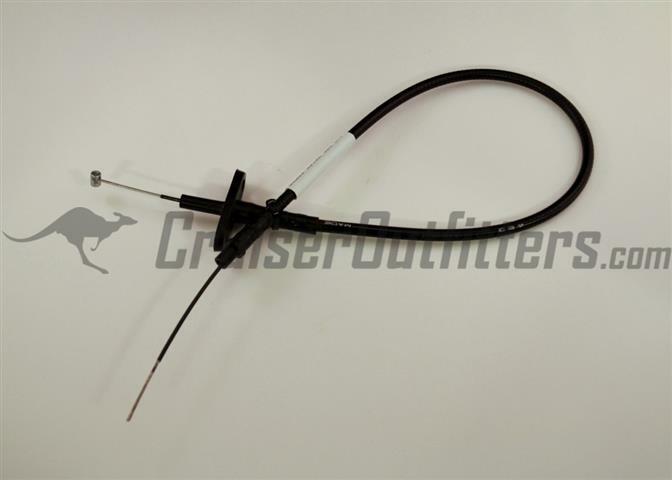 Easily installs in under an hour.